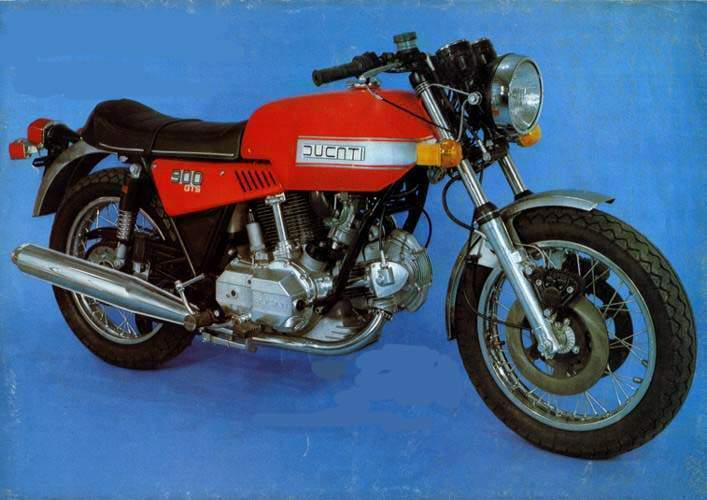 In the 1960s, Ducati earned its place in motorcycling history by producing the then fastest 250 cc road bike available, the Mach 1.In the 1970s Ducati began producing large-displacement L-twin (i.e. 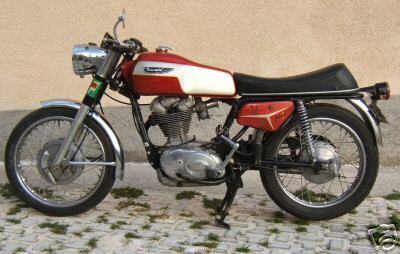 a 90° V-twin) motorcycles and in 1973 released an L-twin with the trademarked desmodromic valve design. 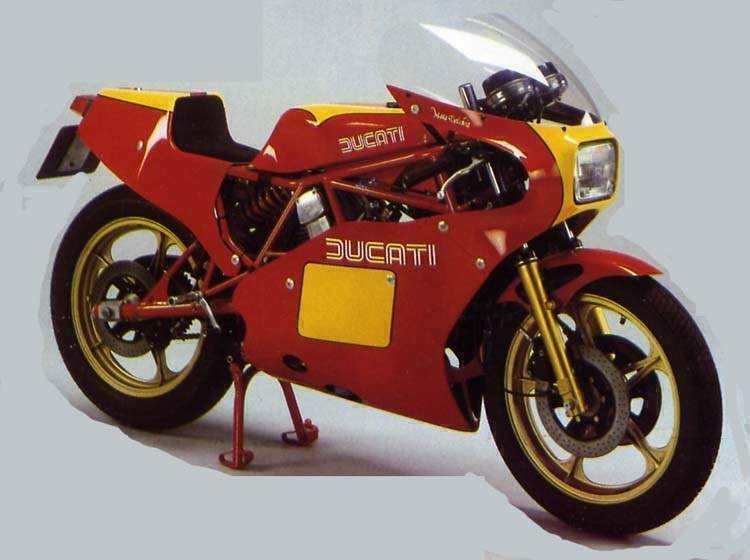 In 1985, Cagiva bought Ducati and planned to rebadge Ducati motorcycles with the lesser-known Cagiva name (at least outside of Italy). 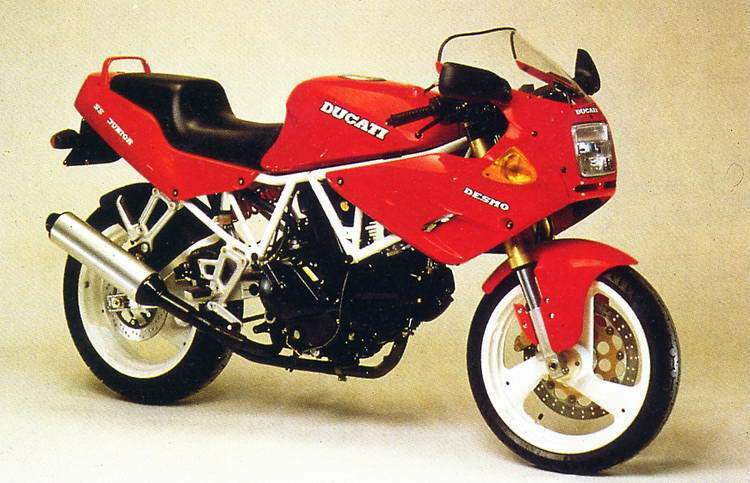 By the time the purchase was completed, Cagiva kept the "Ducati" name on its motorcycles. 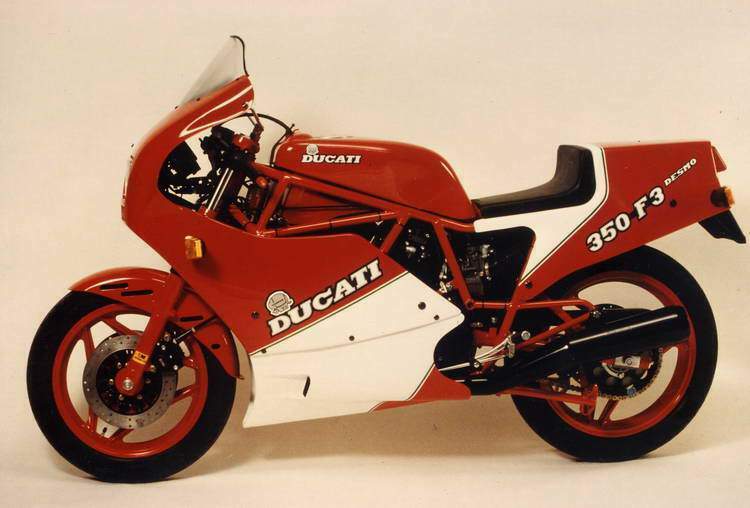 In 1996, Texas Pacific Group bought for US$325 million a 51% stake in the company and in 1998, bought the remaining 49% and became the sole owner of Ducati. 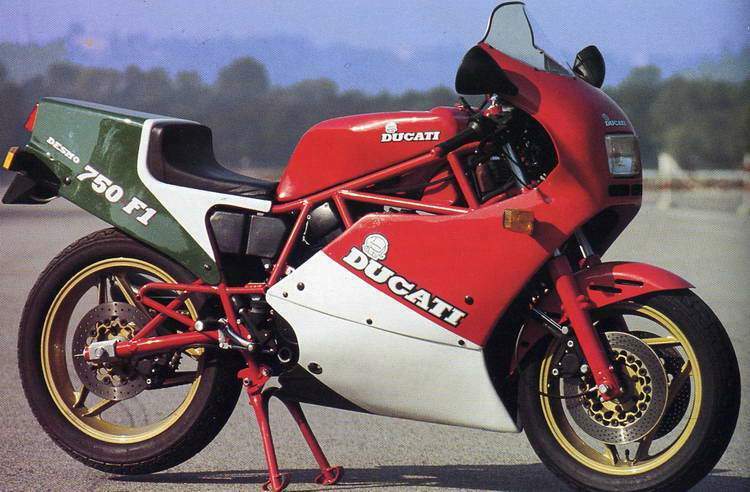 In 1999, TPG issued an IPO of Ducati stock and renamed the company Ducati Motor Holding SpA. 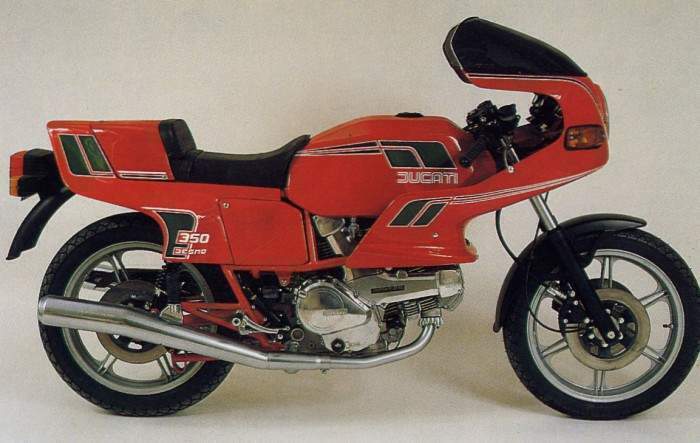 TPG sold over 65% of its shares in Ducati. 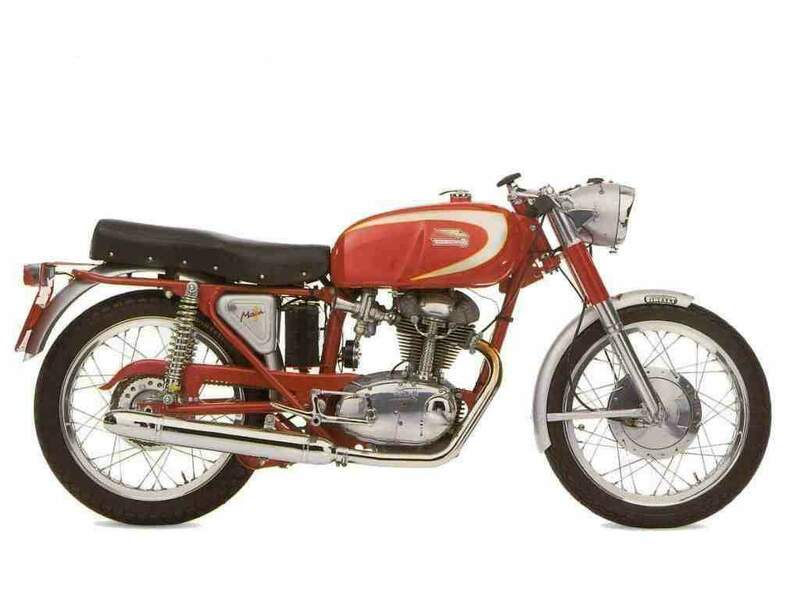 In December 2005 Ducati returned to Italian ownership with the sale of Texas Pacific's stake (minus one share) to Investindustrial Holdings, the investment fund of Carlo and Andrea Bonomi. 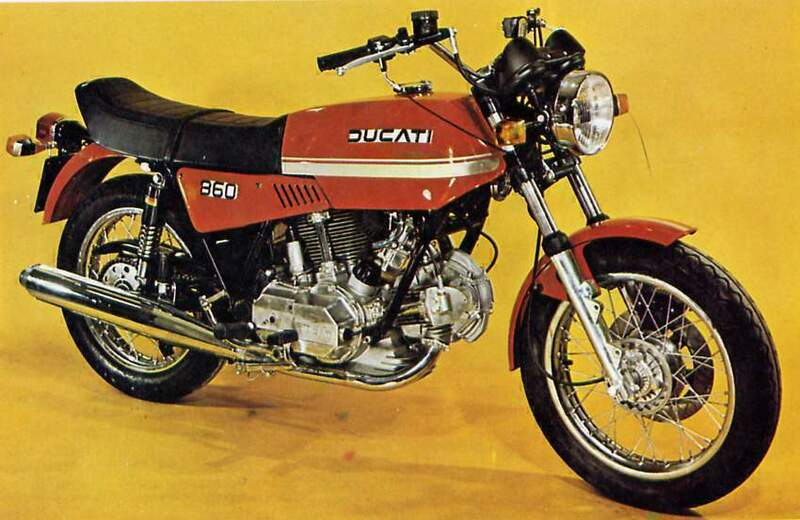 Ducati history | Ducati racing history. 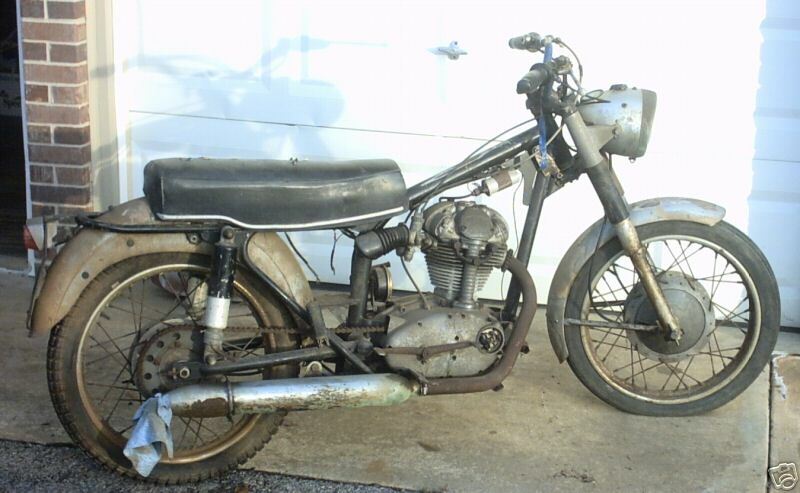 1951 Ducati Racer The bike is called a Tamarozzi. 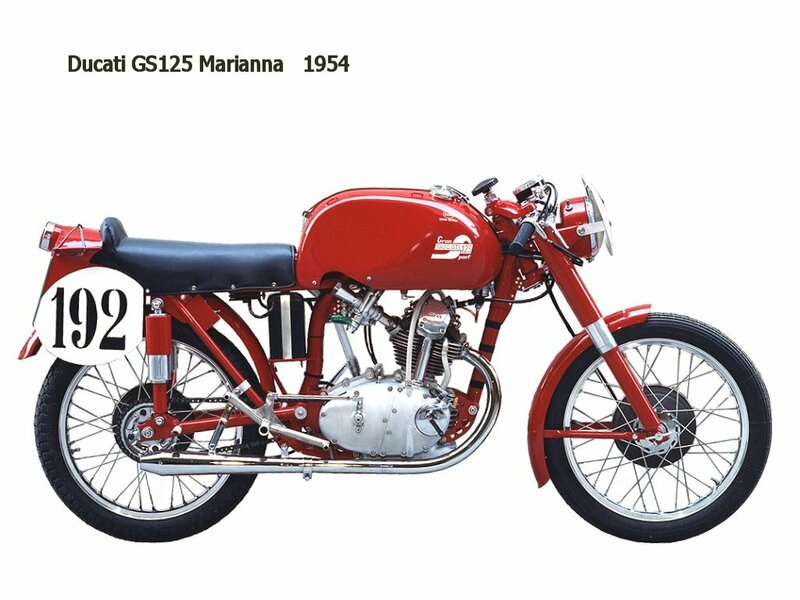 It's a replica of the first Ducati racing bike which ran at Monza on 16th of May 1951. 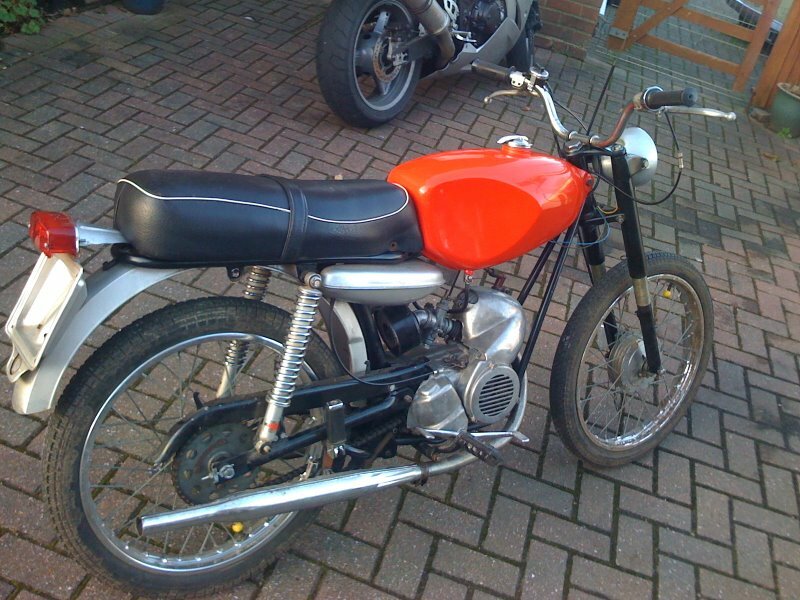 It managed a hair-raising 60mph average with it's 50cc Cucciolo motor. 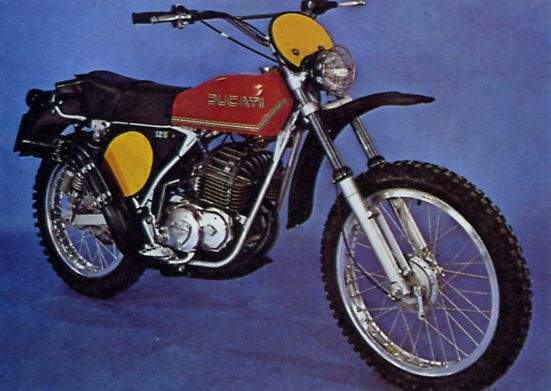 It was built by Norm Westerman. 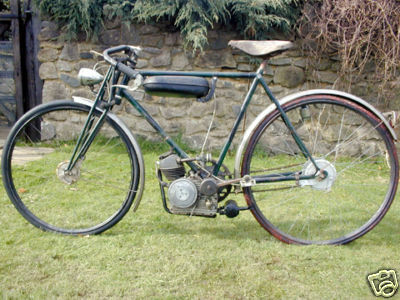 During the War, Aldo Farinelli designed and developed a 4-stroke cycle attachment engine with 2-speed gearing. 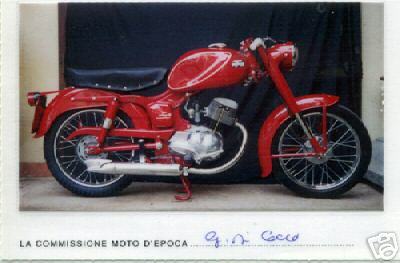 Ducati joined another Italian company, SIATA, to manufacture this engine as the Cucciolo (Little Puppy). 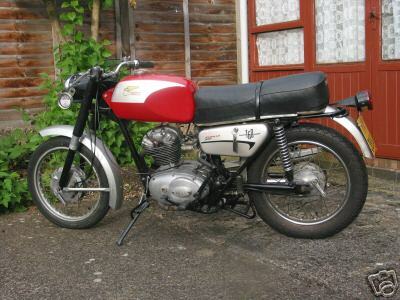 It was introduced in 1946 as an auxiliary engine in a box. 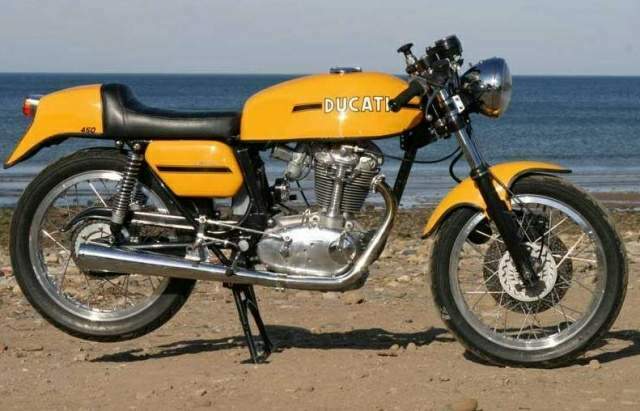 Ducati now owned the exclusive rights to the Cucciolo. 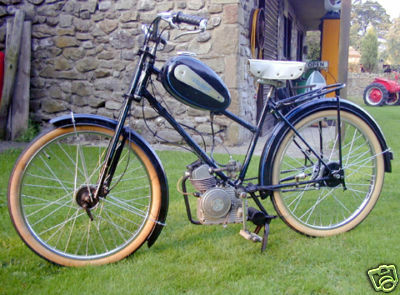 A new and original design, the T2, was introduced in 1948 and though it was similar to the original it was improved all round. 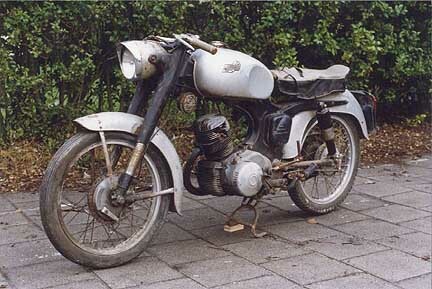 A sports version was added, which could reach a top speed of 60 kmh. In the first 2 years an average of 240 units a day were produced. 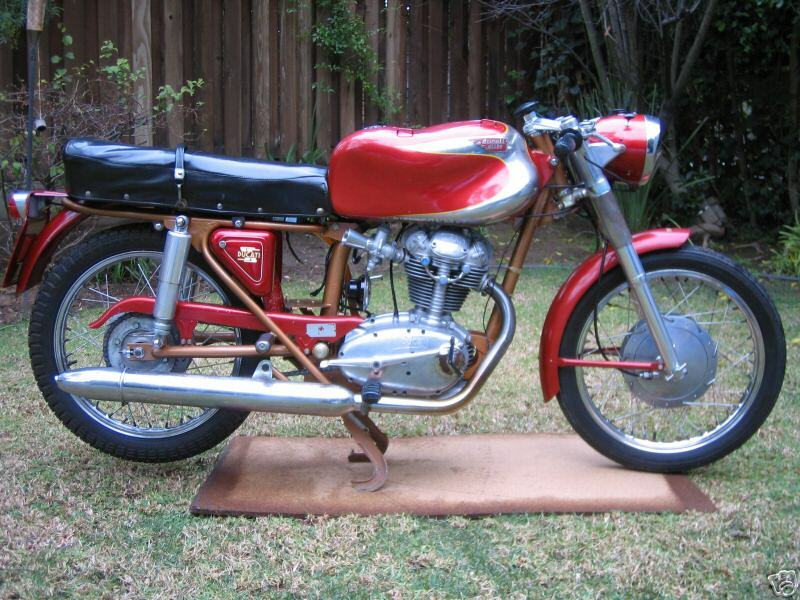 In 1948 Ducati designed a new engine, the T3, with 3 gears and a grease-lubricated valve gear enclosed in a case. 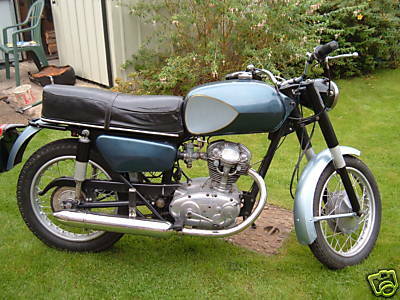 A new tubular frame with rear suspension was added in 1949. 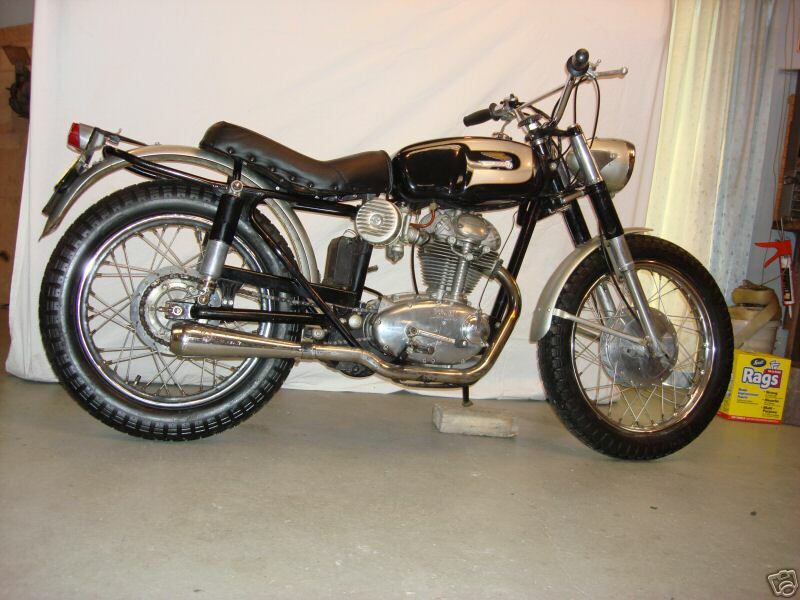 The Sports version introduced in 1950 had a 65cc capacity, swinging-arm, and telescopic shock absorbers. Image kindly provided by www.BuyVintage.co.uk. 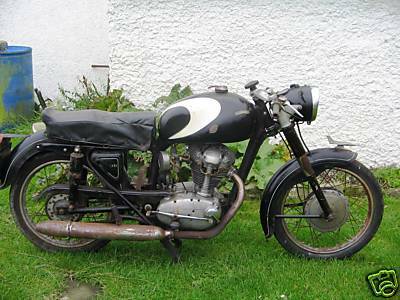 1957 Ducati 175T Boyer power box 12v. 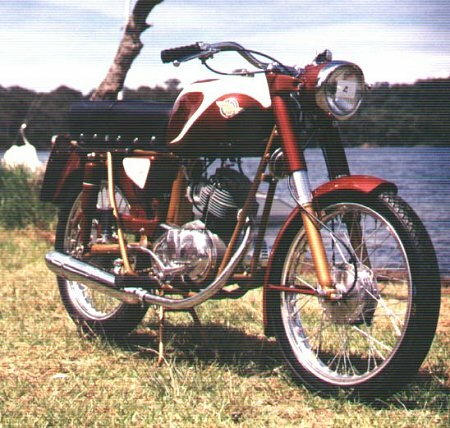 boyer electronic ignition. 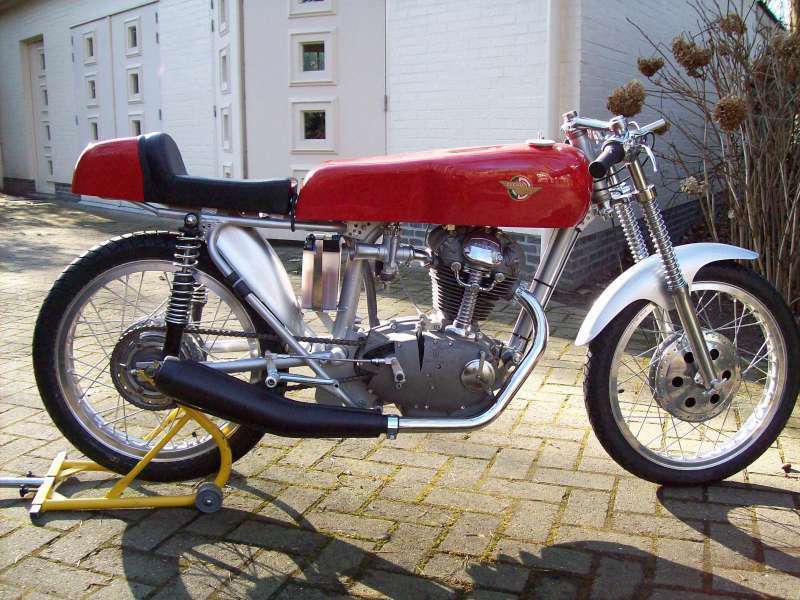 1959 Ducati Formula 3 Racer The clutch has been modified to take 350 ratio straight cut gears and hence the large rear sprocket to compensate. Amadoro Brakes Steel Tank 27mm SS Dellorto with seperate float. 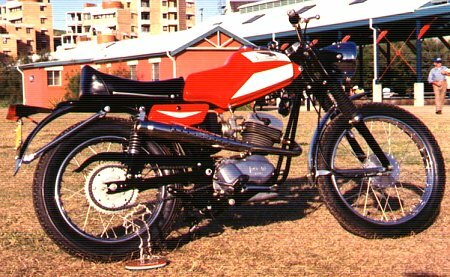 Alloy rims with modern racing tyres. 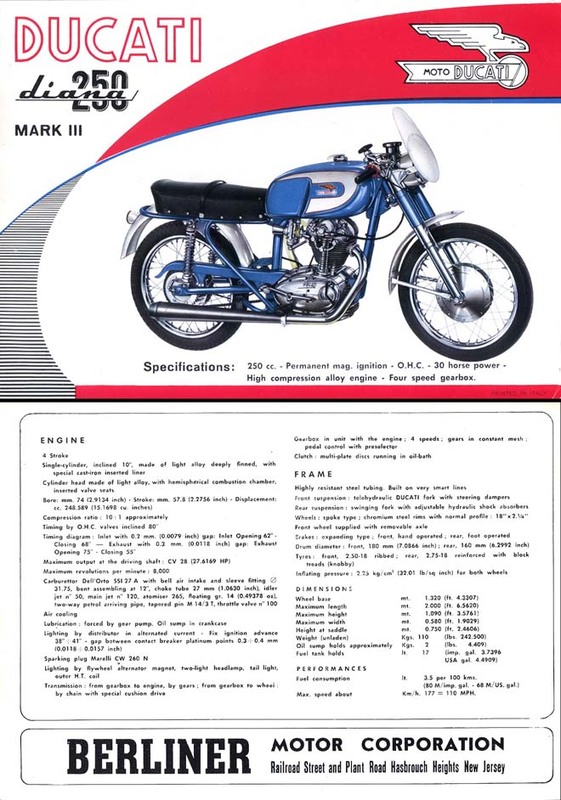 CRMC Registered as a Group 1 Machine. 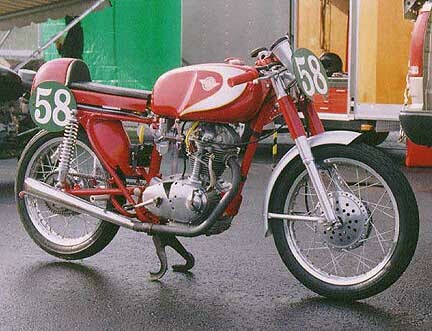 Ducati displayed a road going 250 during April 1961. 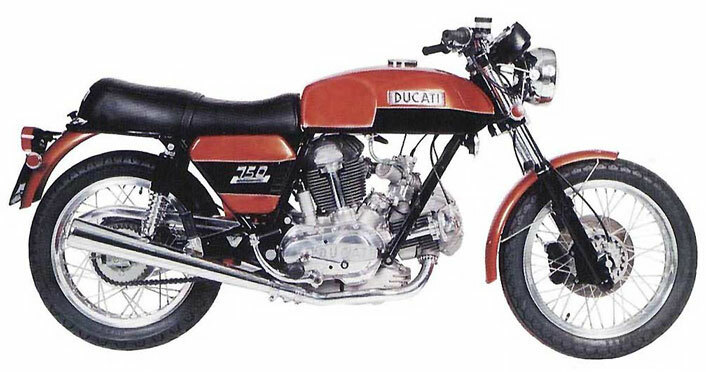 Derived from the extremely rare F3 250 production racer, the new machine was offered in both touring and sports forms and did more to establish the Ducati name outside of Italy than any of their preceding road going models. 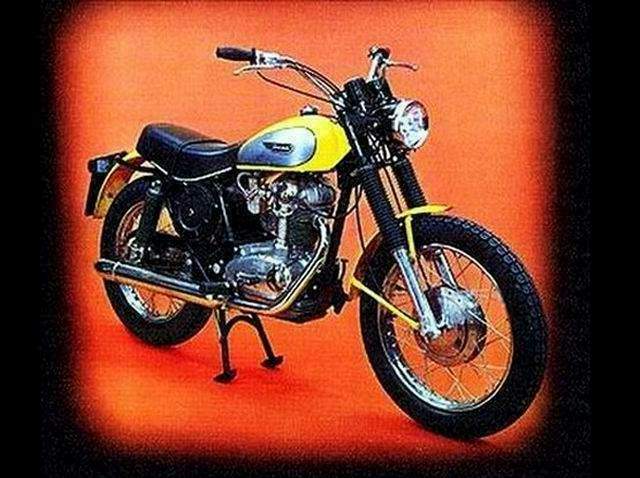 The sporting model was credited with a power output of 24bhp giving a top speed of approximately 84mph. 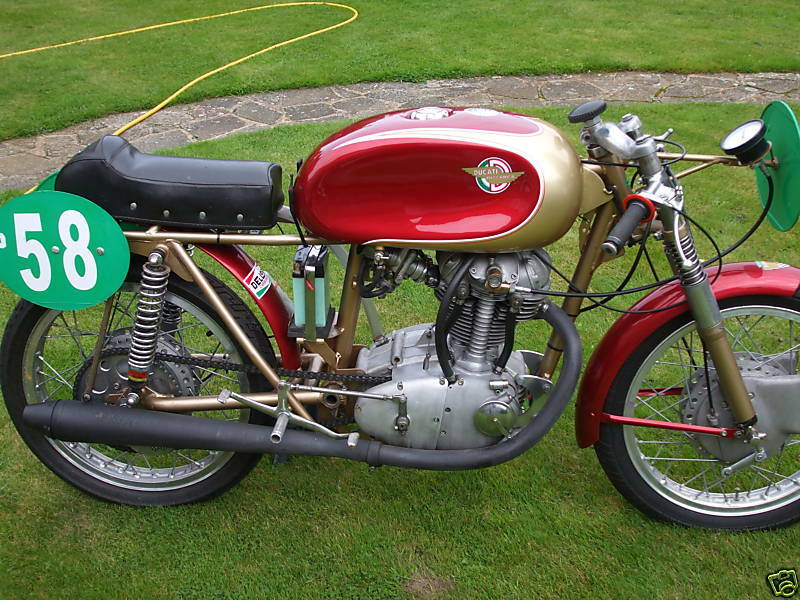 The new model quickly established itself as one of the quickest two fifties of its era and with the assistance of specialists such as Vic Camp soon found their way onto race tracks. 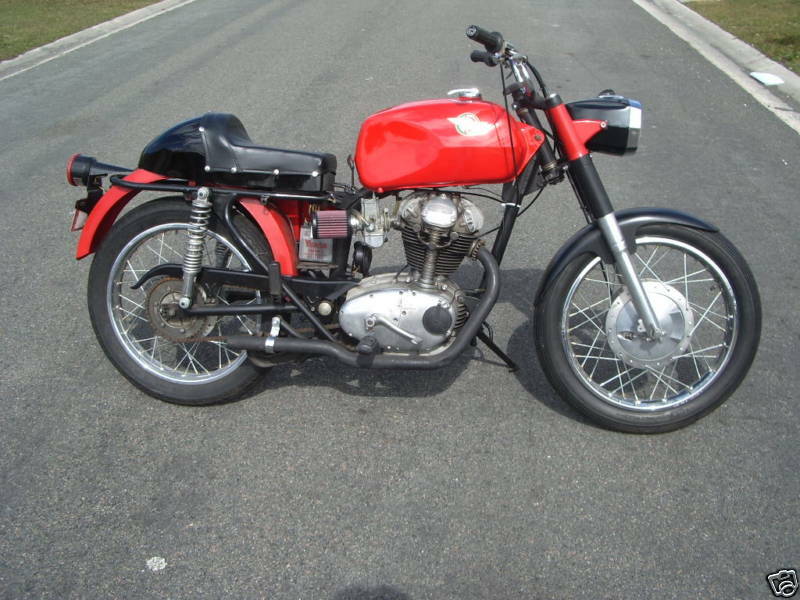 1962 Ducati 125 S This is Ducati specialist prepared 125 Sports engine in a 125 S/1 frame. The preparation by the Bologna based specialist is meticulous and clean and prepared for classic races group III. 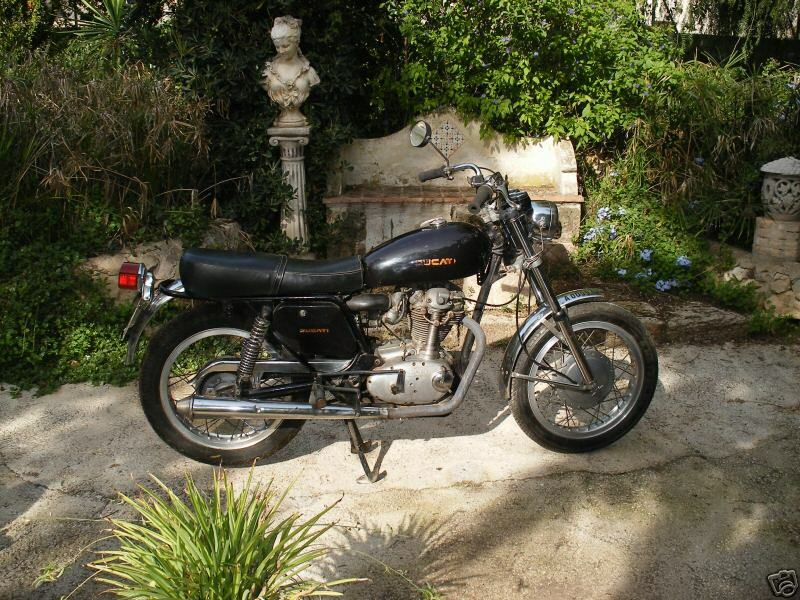 A pure and racy, thoroughbred classic. 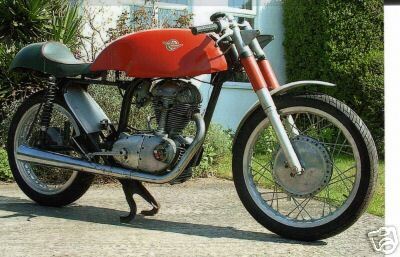 The Italian Ducati Company needing little introduction were renowned for fast and sometimes temperamental small engined sporting machines in the 1950s and 60s. 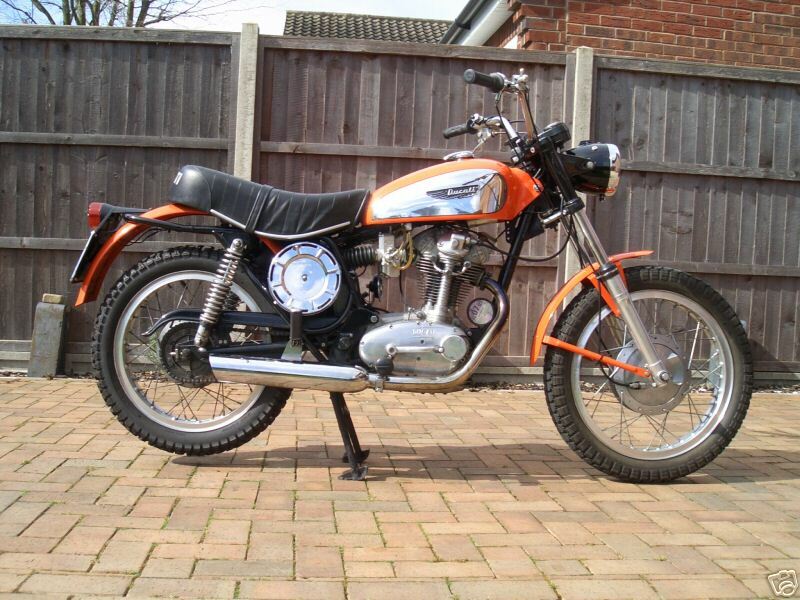 In England they were an expensive option, and so not necessarily an every day sight. 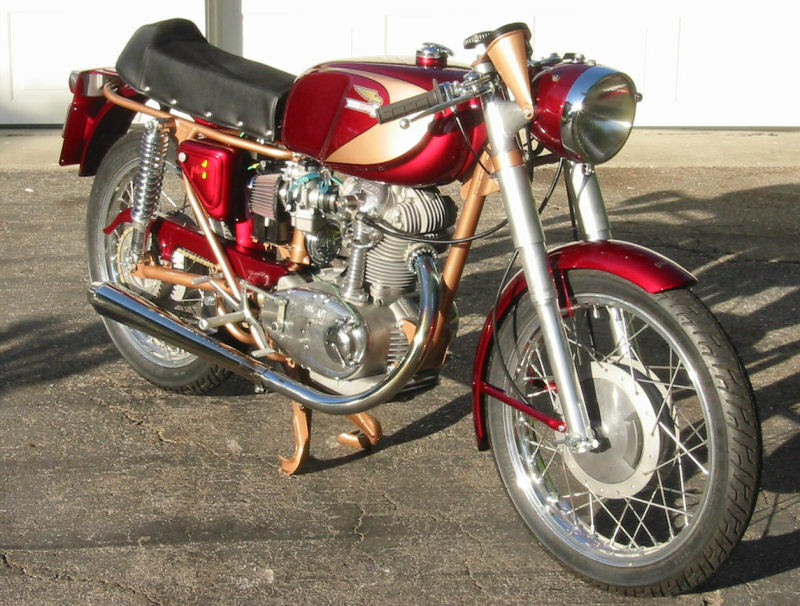 1964 Ducati Monza Special 1964-65 250 Monza special fitted with Mach 1 replica seat, replica 1974 front guard, stainless Conti replica, 72-74 rearset kit. 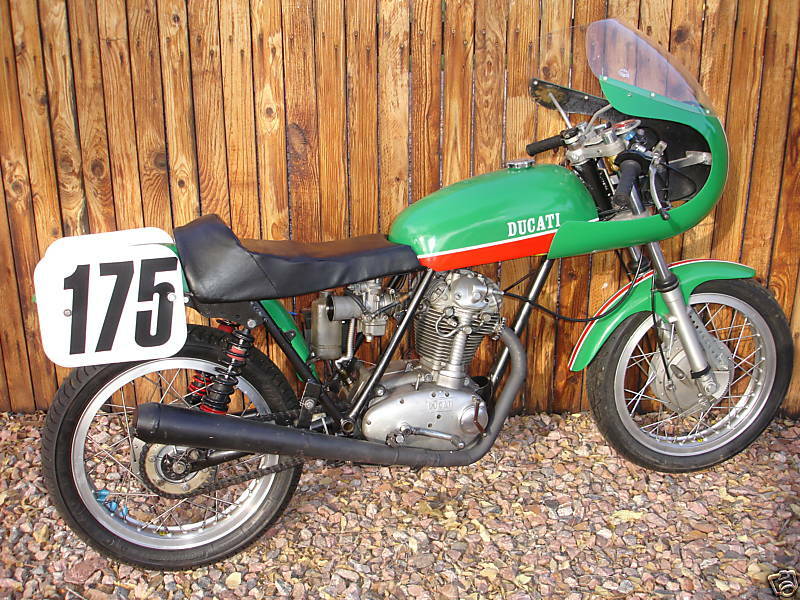 1965 Ducati 250 250 Ducati Vintage Road Racer prepared by Henry Hogben of "Ducati Singles Restorations" Has green and white cam, oversized valves with coil springs, lightened flywheel, total loss electrical system, delorto 32mm carb. open header (110 decibals) Custom chrome moly frame with adjustable stearing rake. 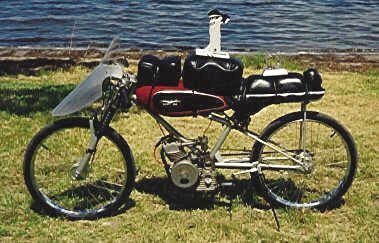 Double cam front brake with race linings, fibreglass bodyparts, avon roadrunners on aluminum rims, bike totally safety wired. 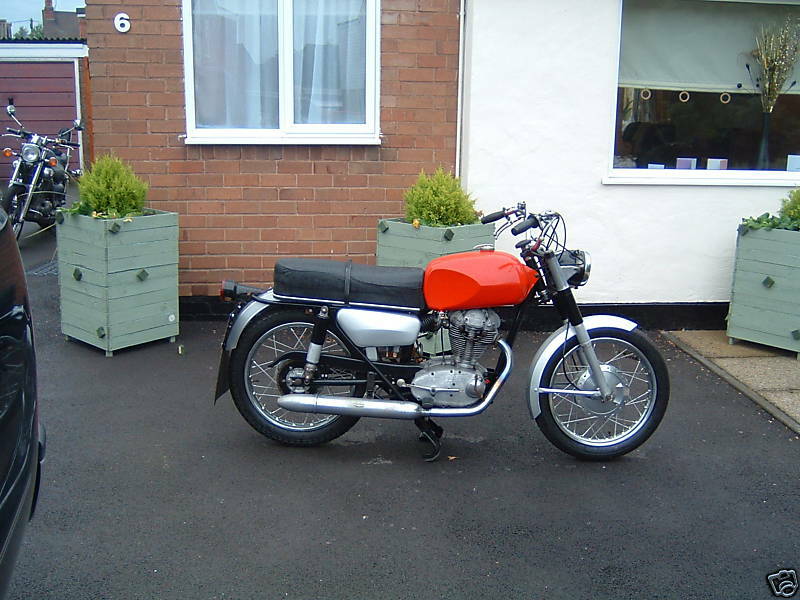 1965 Ducati 250 Mk1 Air cooled, four stroke, single cylinder, Desmo SOHC. 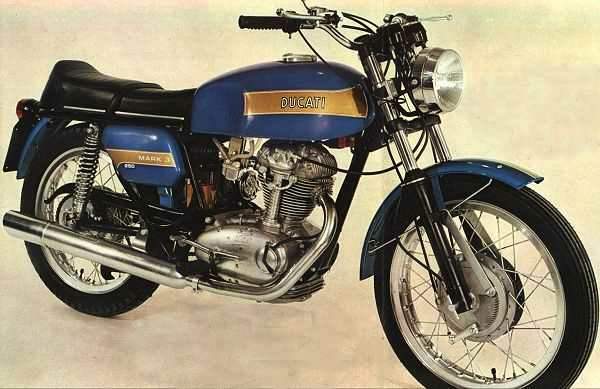 1965 Ducati 250 Mach 1 The first 250cc engined bike entered production in 1961 and was an immediate success, to become known in the UK as the 250 Monza, it was the first of the 'narrow-crankcase' derivatives which would dominate production until the late 1960s, and in 1964 one such derivative appeared in the from of the 'Mach 1.' 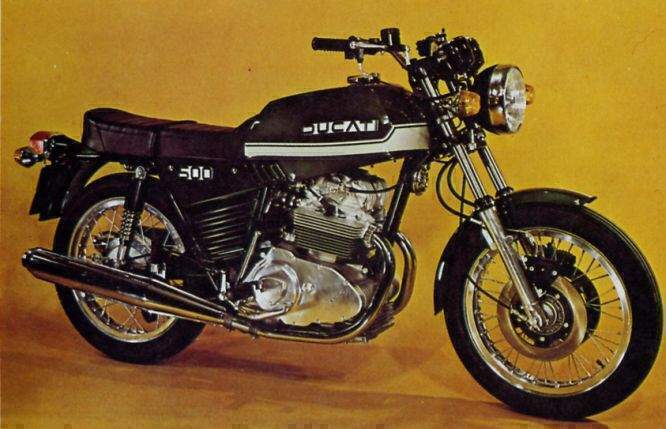 The Mach 1 featured a tuned motor sporting high lift cams, big valves with stronger springs and modified adjusters, a high compression piston and a 29 mm Del Orto carburettor producing a claimed 28bhp at 8500rpm, against the Monza's not inconsequential 17bhp. 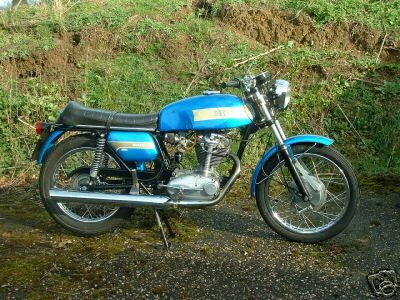 Coupled to a 5 speed gearbox the Mach 1 offered blistering performance for a 250 machine and it was tested at 105mph making it the fastest production 250 of its day. 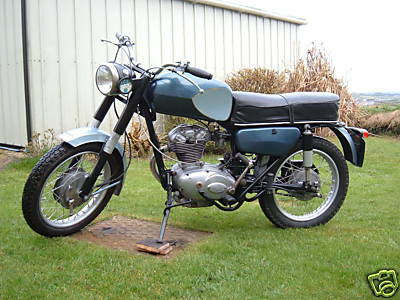 1965 Ducati Cadet 100cc two-stroke. 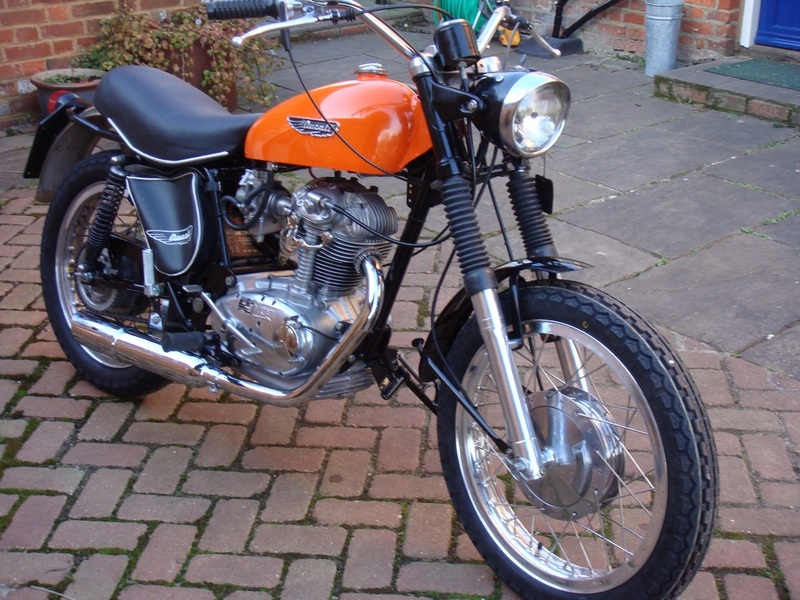 Restoration using R & R supplied parts including MACH 1 replica seat, F3 header & race mega with Conti core. 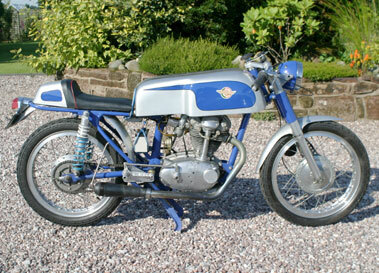 1966 Ducati 250 Diana Mk3 Same model in the UK was called a Daytona. 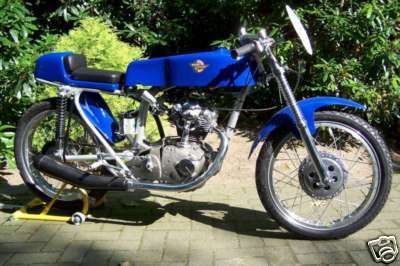 Diana Mk3 with Mach 1 big valve engine & rear set frame. 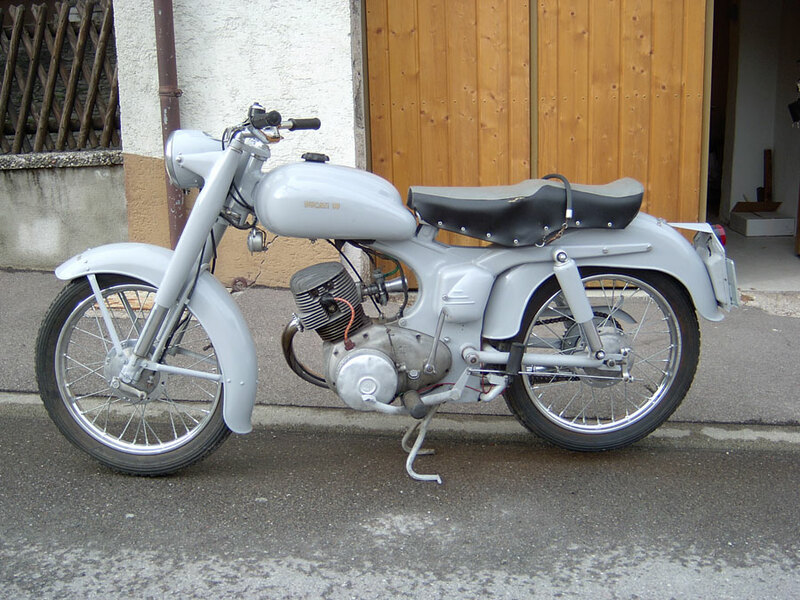 Factory original rear set kit-original clip ons-Viglia white face tach (working)-Diana tank with cut out for 29 mm carb-29 mm SSI carb- correct seat for Diana - M3 stamped engine cases-center & side stands Silentium muffler. 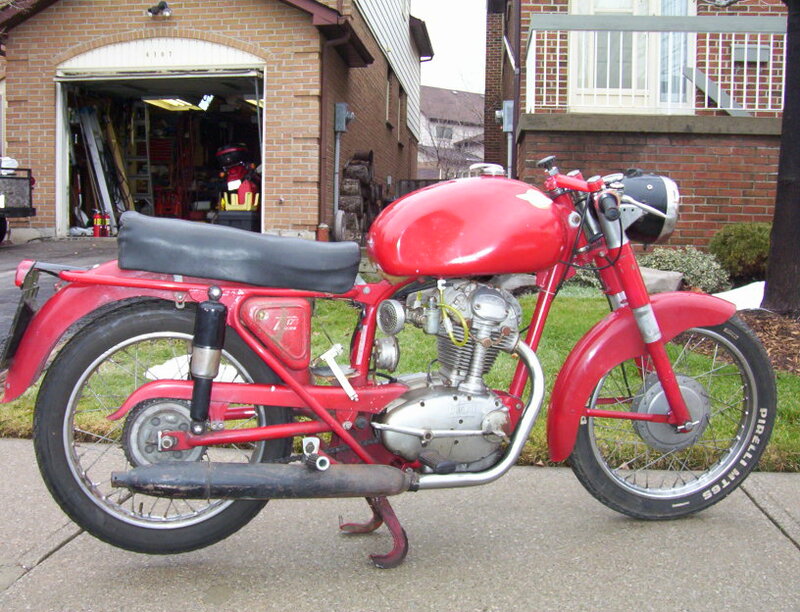 1967 Ducati SSR 125 Imported from Italy. 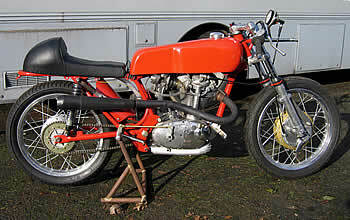 1968 Ducati Monza Junior 158cc. 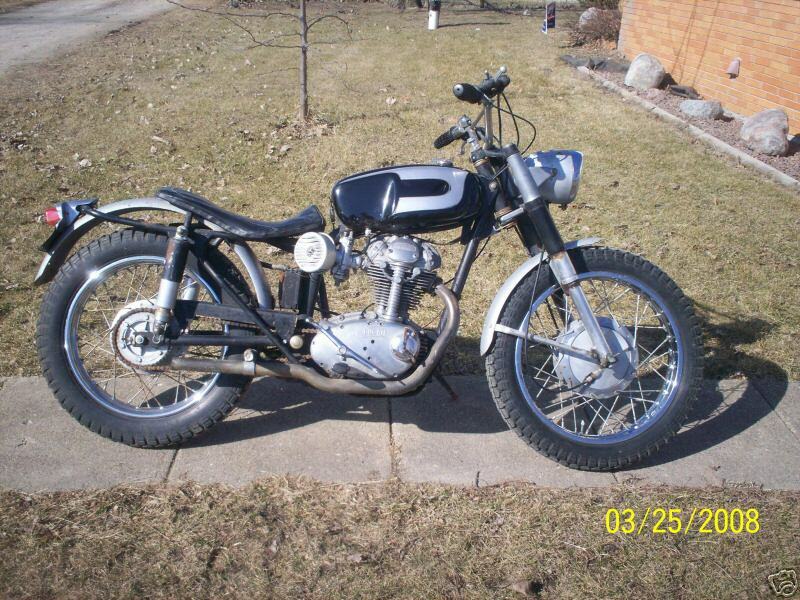 1968 Ducati 350 Scrambler Air cooled, four stroke, single cylinder, SOHC. 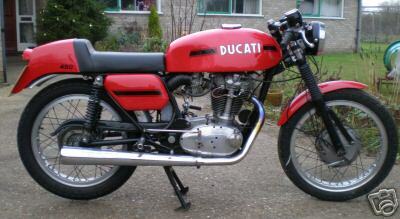 1968 Ducati Desmo 350 Mk3 Air cooled, four stroke, single cylinder, SOHC. 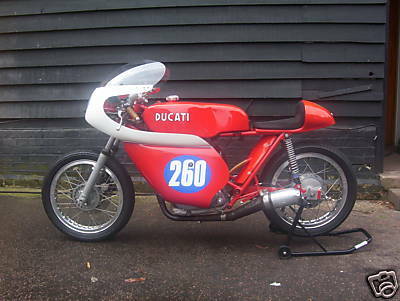 1969 Ducati 350 Mk3 The announcement of the new "widecase" singles towards the end of 1968 reinvigorated the Ducati factory racing effort. 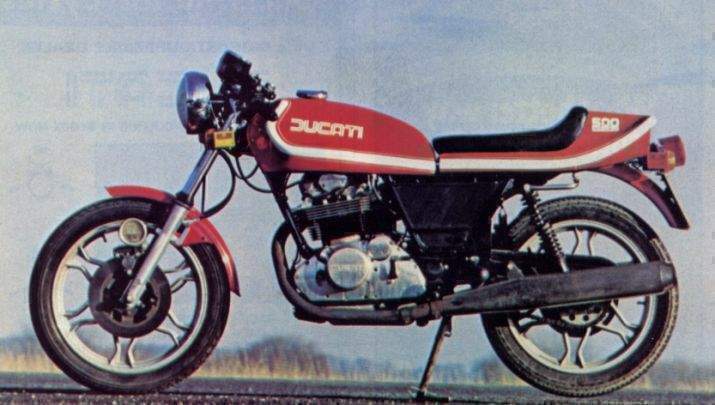 Bruno Spaggari was provided with machines displacing 350cc and 450cc based on the road going Desmo singles, producing some impressive results. 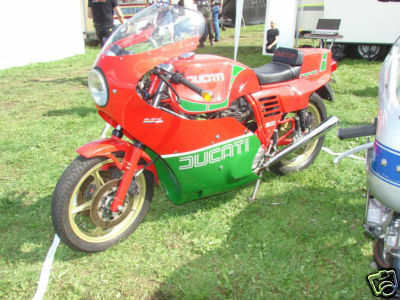 Converted Ducati singles have subsequently proved popular with riders seeking machines with which to compete in Classic events. 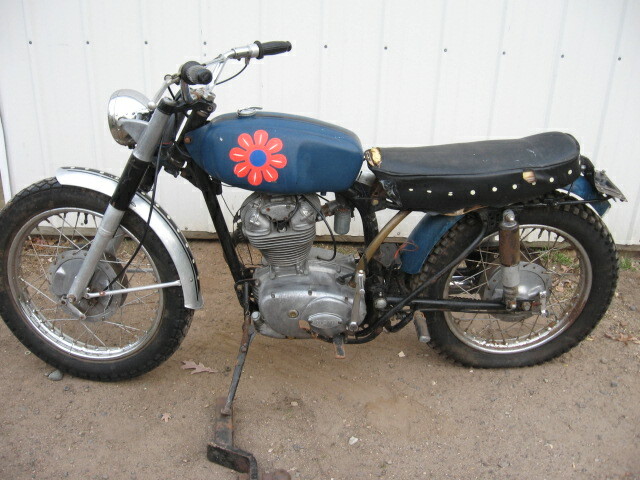 1969 Ducati 450 Desmo Air cooled, four stroke, single cylinder, SOHC. 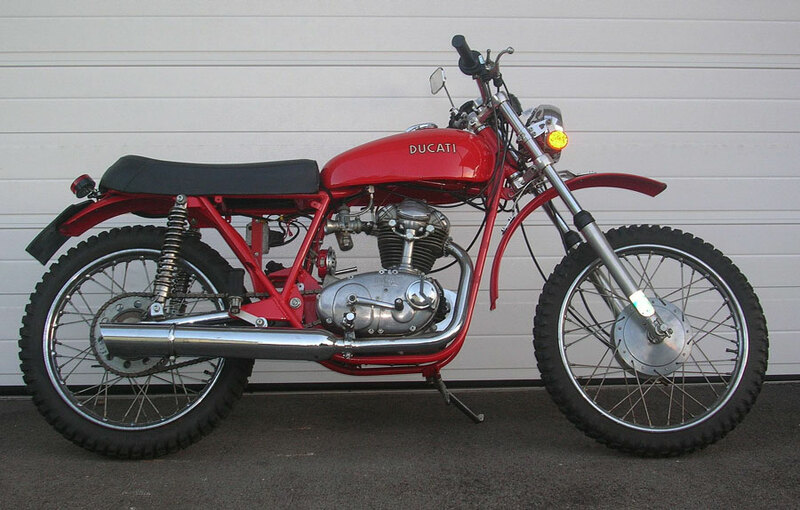 1970 Ducati Scrambler Junior 450cc. 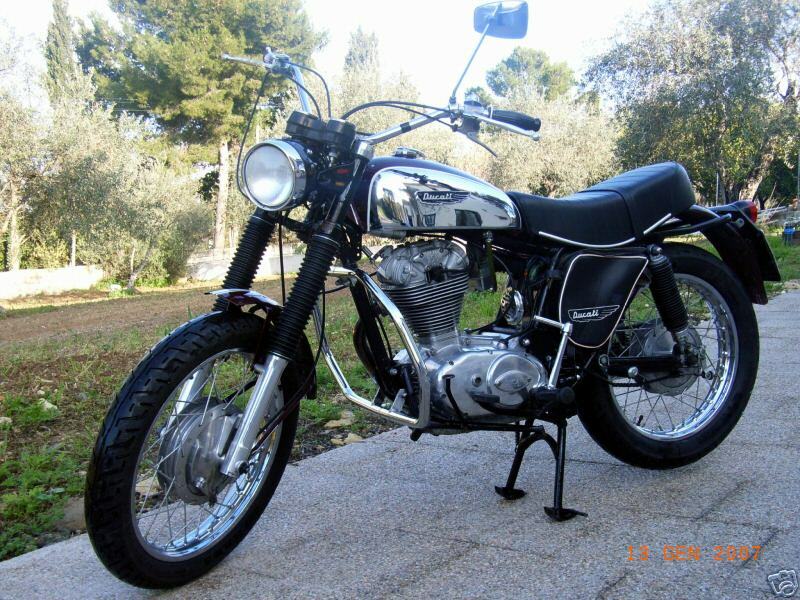 1971 Ducati 250 Desmo Air cooled, four stroke, single cylinder, Desmo SOHC, 29mm Dell'Orto carb. 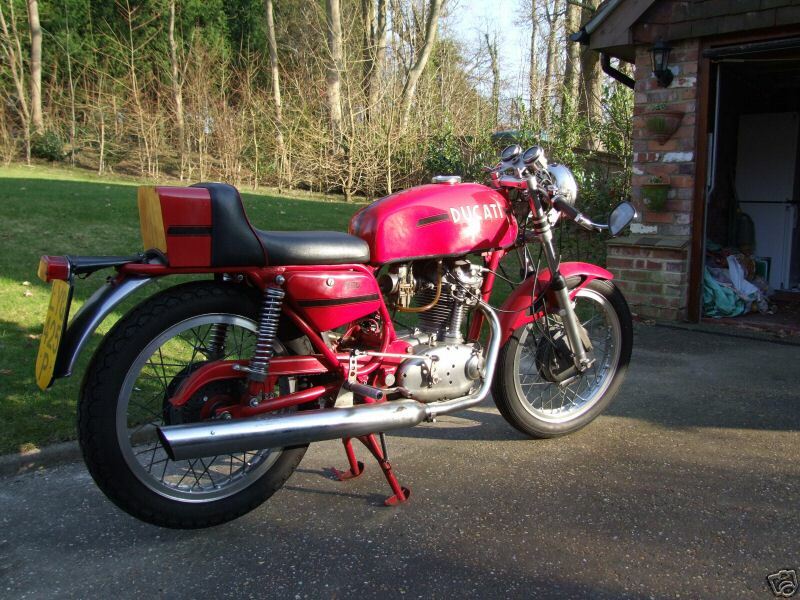 1972 Ducati Saxon 350 OHC The engine has been rebuilt by Ducati Technical Services. 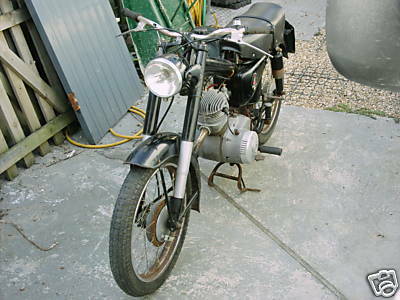 Saxon Frames were built by Brancato Engineering and only 40 were made, this is No 2 of the second batch of frames built. 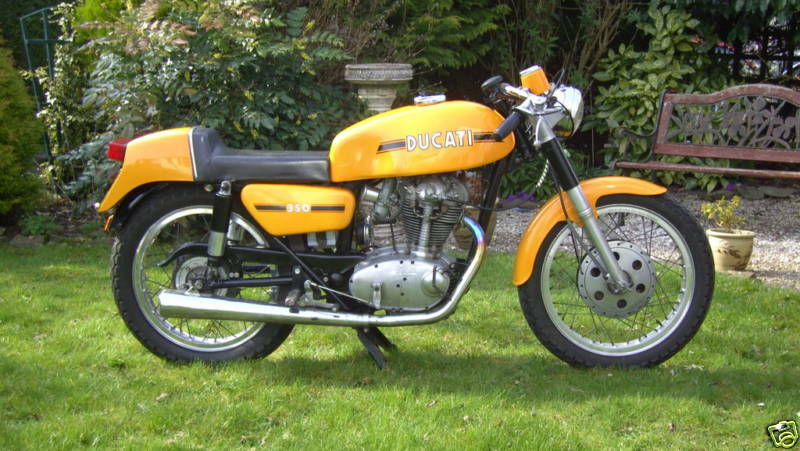 A very high quality chassis, ideal for the Manx Grand Prix. 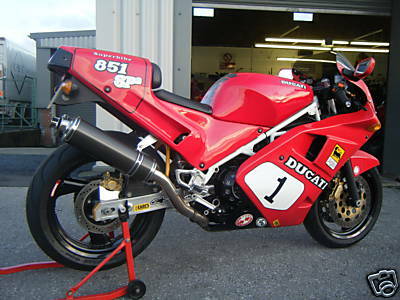 This bike was actually raced at the 1994 Manx, and has documented account of this event. 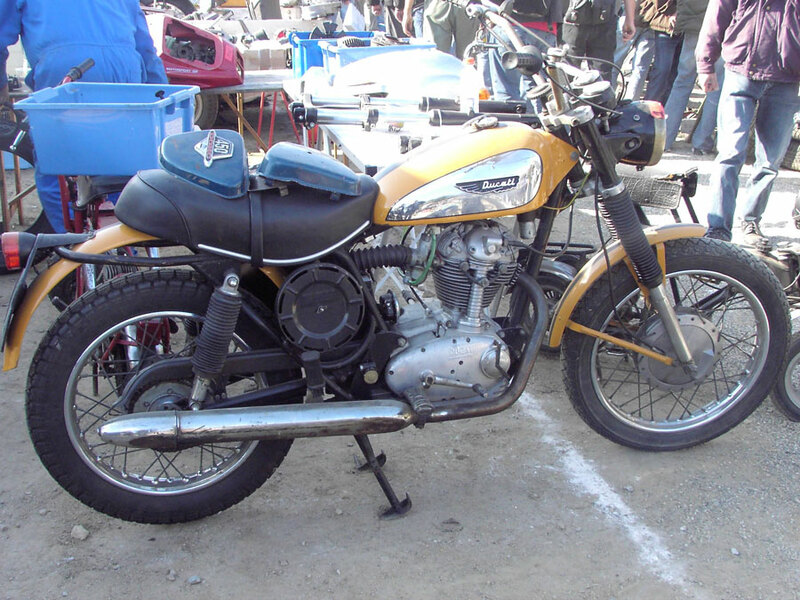 The bike is in excellent condition. 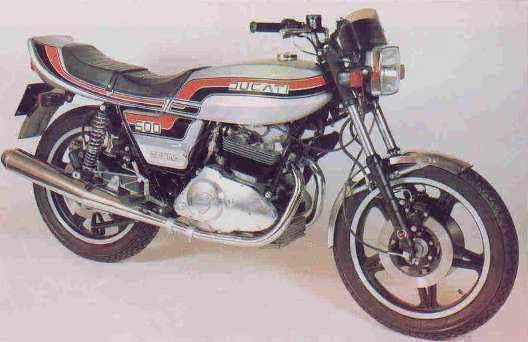 It has disc front brake, Marzocchi forks, Hagon rear shocks, oil cooler, Lucas transistorised ignition, and a Scitsu rev counter. 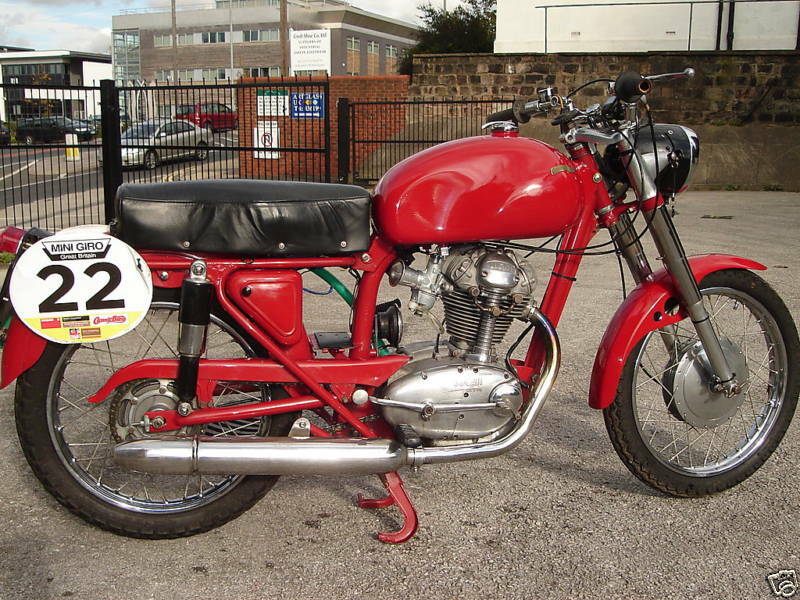 It is registered for racing with both the Historic Racing Club, and the Classic Racing Motocycle Club, to use in the Ducati races and the specials class (as 1972 Saxon Ducati). 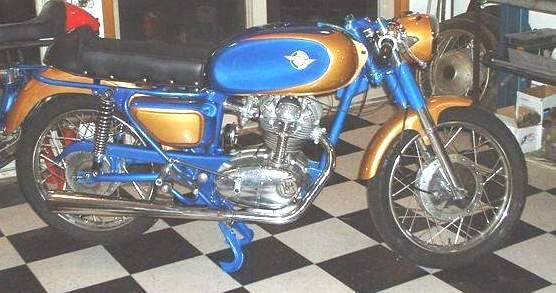 1972 Ducati 450 Desmo 'Silver Shotgun' Over the counter production racer equippted with fiberglass tank, side covers, and front fender. 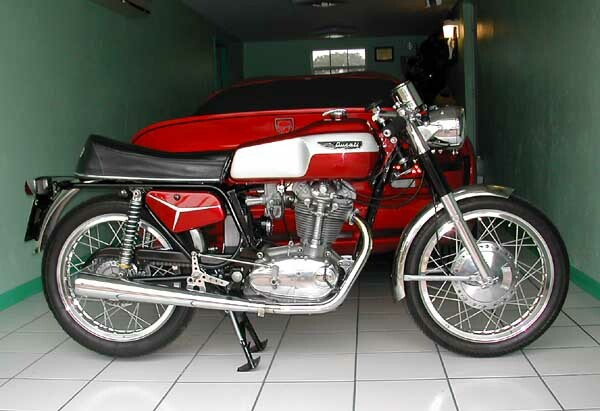 Desmo package included upgraded 35 mm Marzocchi front forks, Borrani 18" alloy rims, Grimeca 180 mm double drum front breaks, rear set pegs, and a white faced Veglia tach with new tach mount, Tomaselli clip ons,Tomaselli quick throw throttle,29 mm square slide Delorto carb,chrome rear frender. 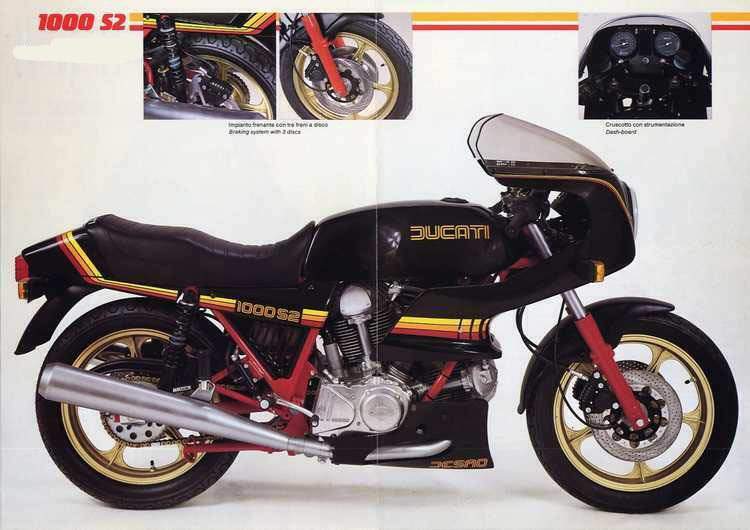 Ducati has always prided itself on building no-compromise sport bikes, as well suited to the track as to the street. 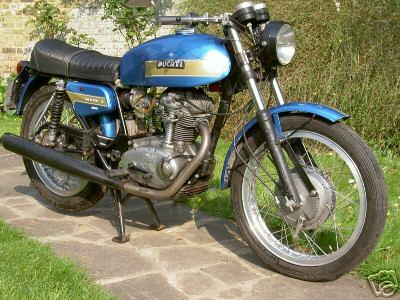 By and large, its GT-style bikes have always been moderate sellers at best. 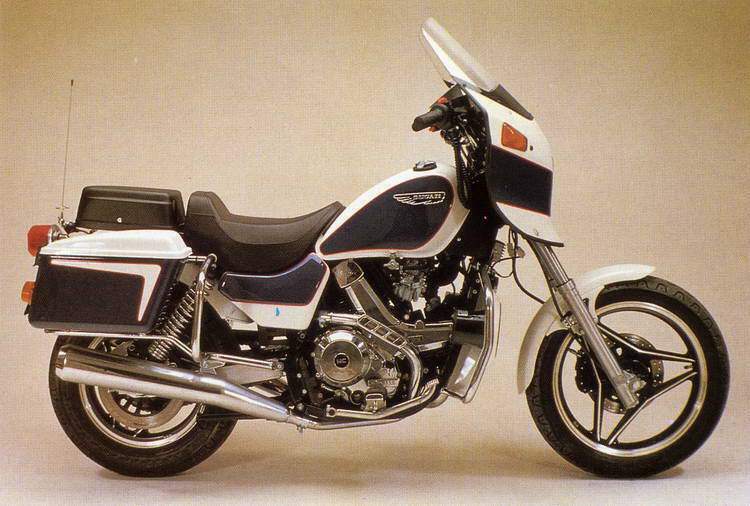 Its sport bikes, though, have been considered the "ne plus ultra" of motorcycling. 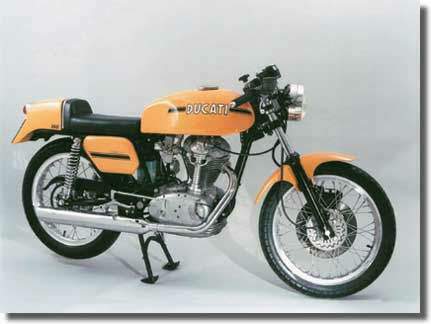 When the Ducati 750 Super Sport was released in 1973, it was accorded instant classic status. 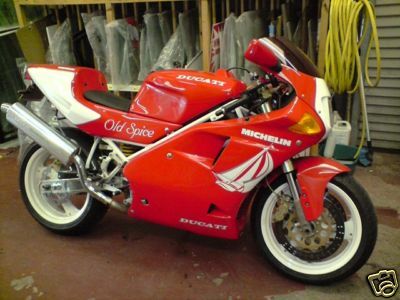 It was also the most desirable production racer available. 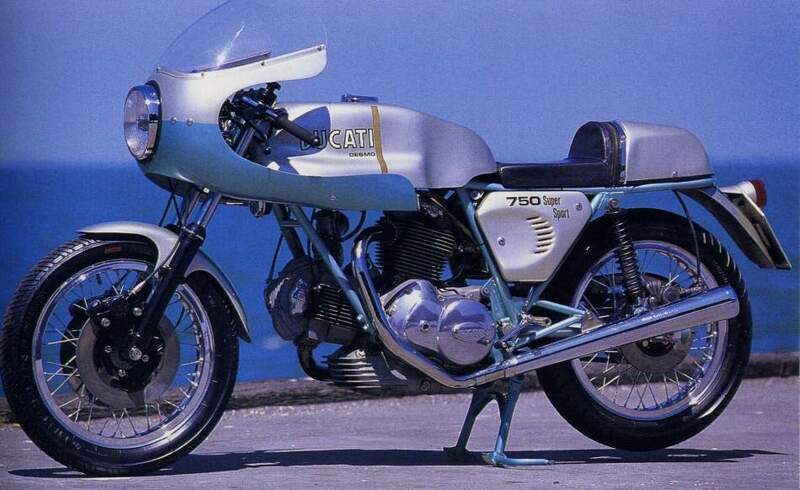 Based on Ducati's Imola-winning bike of 1972, the SS boasted impressive credentials right from the start. 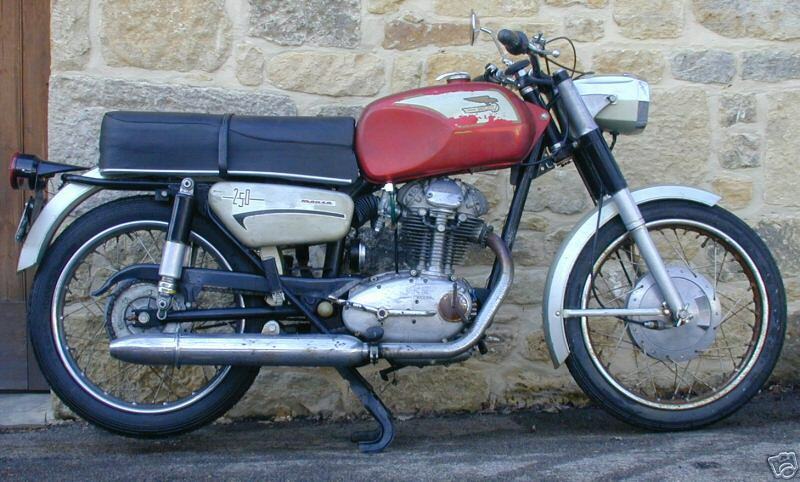 1973 Ducati 350 Desmo Drun brake model with early Delorto carbi. 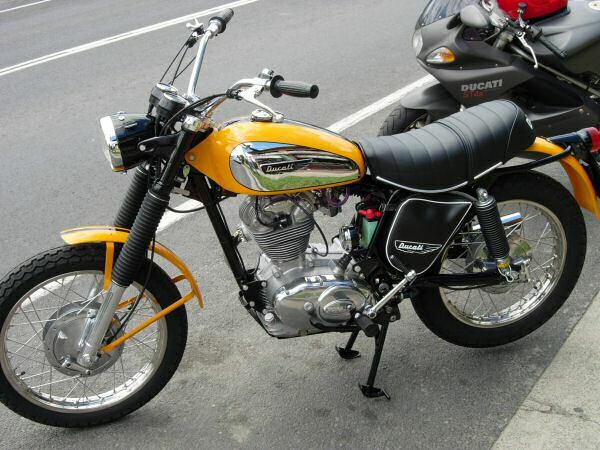 Air cooled, four stroke, 90°“L”twin cylinder, SOHC, 2 valve per cylinder. 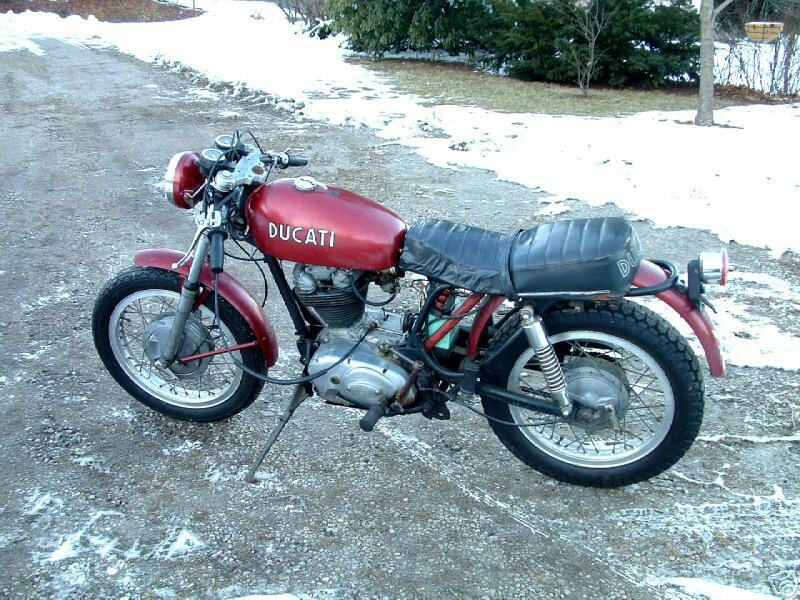 1973 Ducati 350 Single These bikes were imported by TGA Motorcycles after a Classic Bike feature. TGA sold 50 machines following the magazine article. 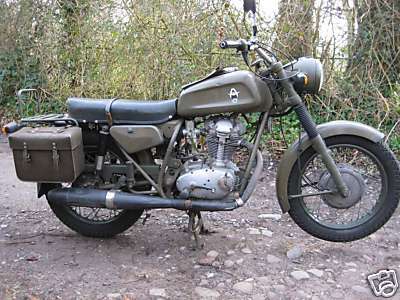 3000 of these bikes were built by Condor for the Swiss Army. 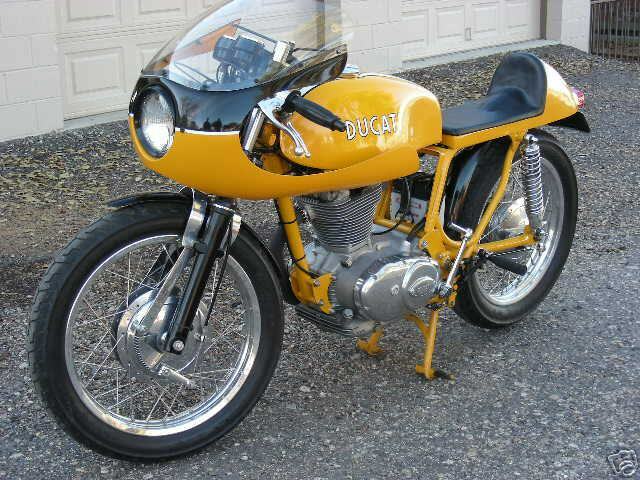 1974 Ducati 860 GT Air cooled, four stroke, 90°“L”twin cylinder, SOHC, 2 valve per cylinder. 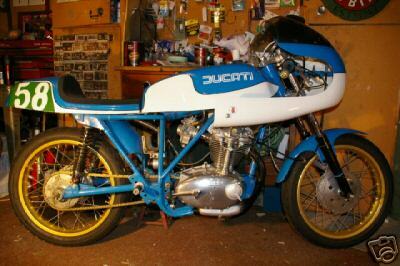 1974 Ducati 350 Desmo Air cooled, four stroke, single cylinder, SOHC. 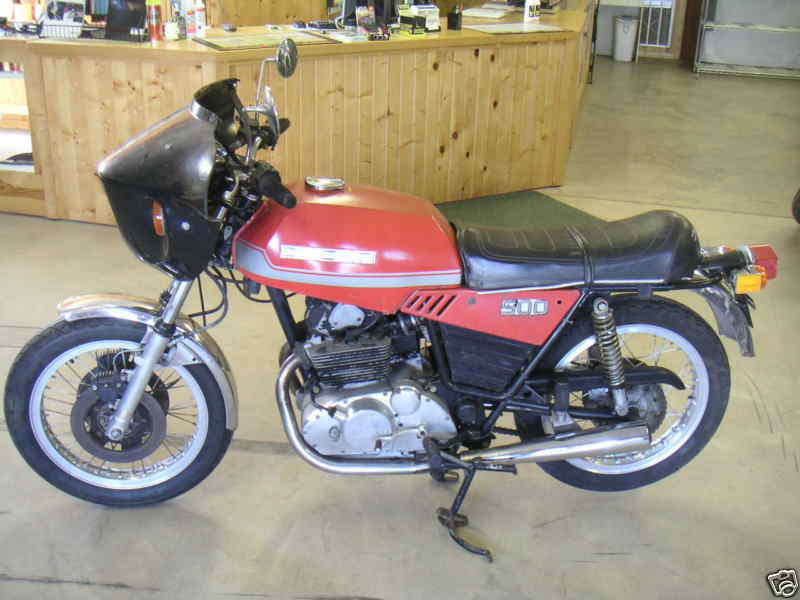 1976 Ducati 500 GTL Air cooled, four stroke, parallel twin cylinder, SOHC, 2 valve per cylinder. 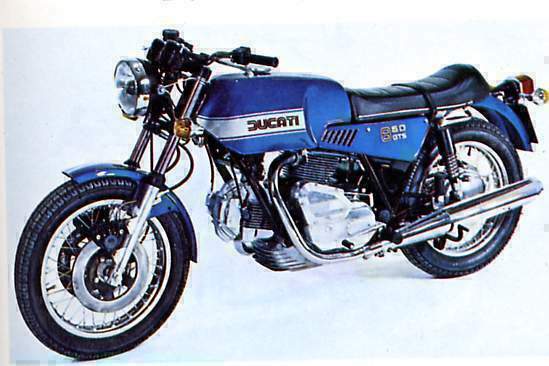 1976 Ducati 860 GTS The Ducati 860 GTS, introduced in 1976, was the first indication that the factory was able to offer a machine finished to the same level as the Japanese. It was based on the Guigiaro-styled 860 GT that had proved to be so impractical on the road. 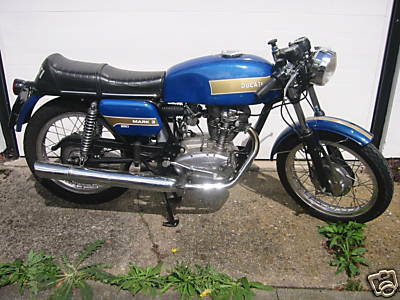 The GTS was offered with a more sensible seat and tank and makes a much more agreeable tourer. 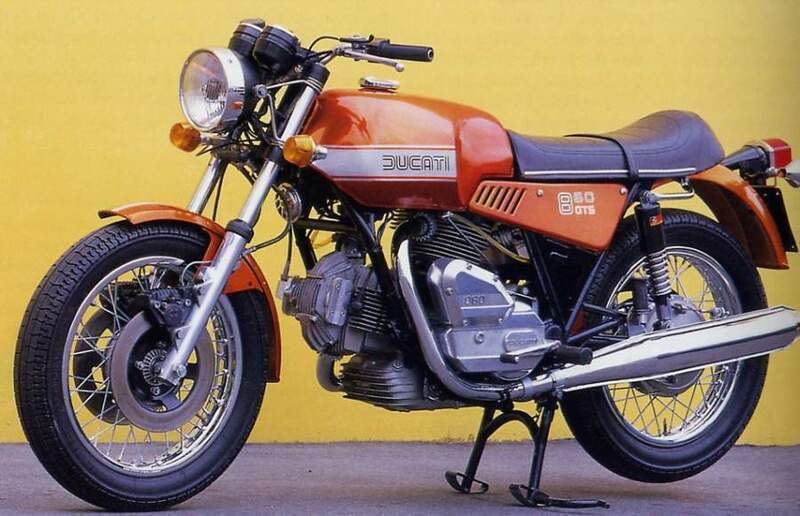 1976 Ducati 860 GTS Like all the big Ducatis, the 860 GTS has the vee-twin engine so loved by purists of motor cycle design. 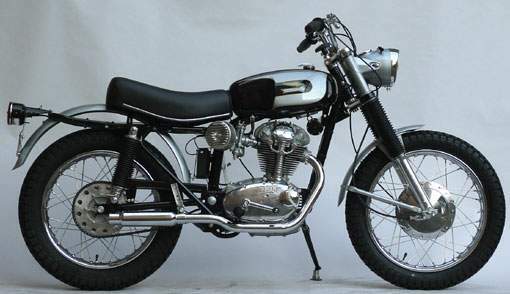 Being a 90-degree engine, it offers a pleasant lack of vibration and a slim profile that allows the unit to be slung low in the frame for a low centre of gravity. 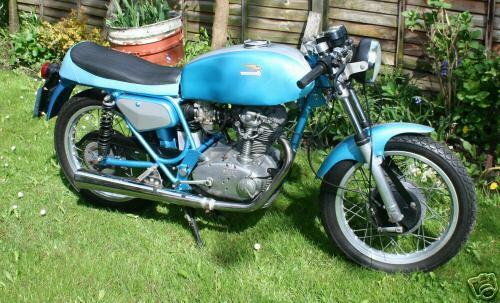 1976 Ducati 500 Twin Air cooled, four stroke, parallel twin cylinder, SOHC, 2 valve per cylinder. 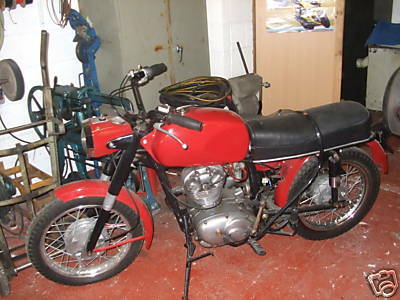 1977 Ducati 350 GTV Air cooled, four stroke, parallel twin cylinder, SOHC, 2 valve per cylinder. 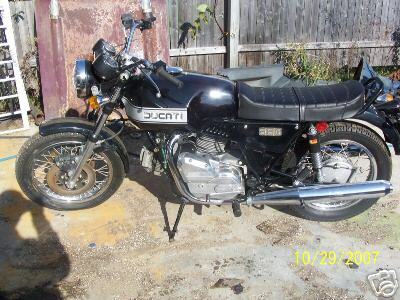 1977 Ducati 500 GTV Air cooled, four stroke, parallel twin cylinder, SOHC, 2 valve per cylinder. 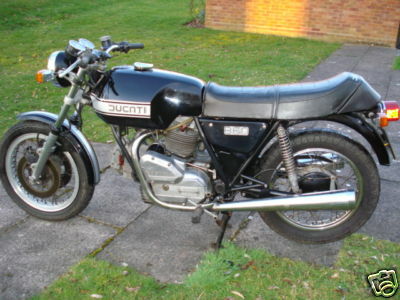 1977 Ducati 350 Sport Desmo Air cooled, four stroke, parallel twin cylinder, SOHC, 2 valve per cylinder. 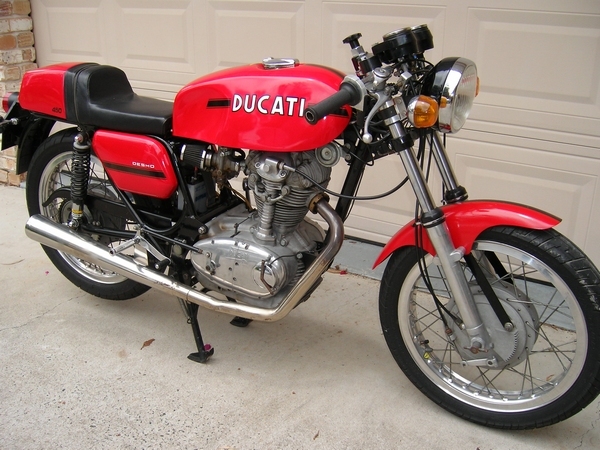 1973 Ducati 900 GTS Air cooled, four stroke, 90°“L”twin cylinder, SOHC, 2 valve per cylinder. 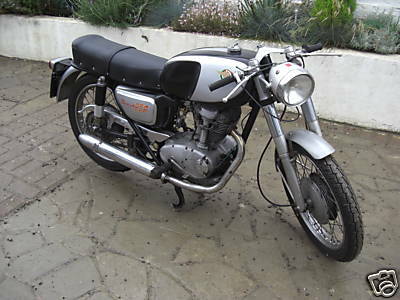 The Ducati 500 Sport Desmo is one of the new breed of increasingly popular half-litre sporting bikes which most of the important manufacturers were making at the time. 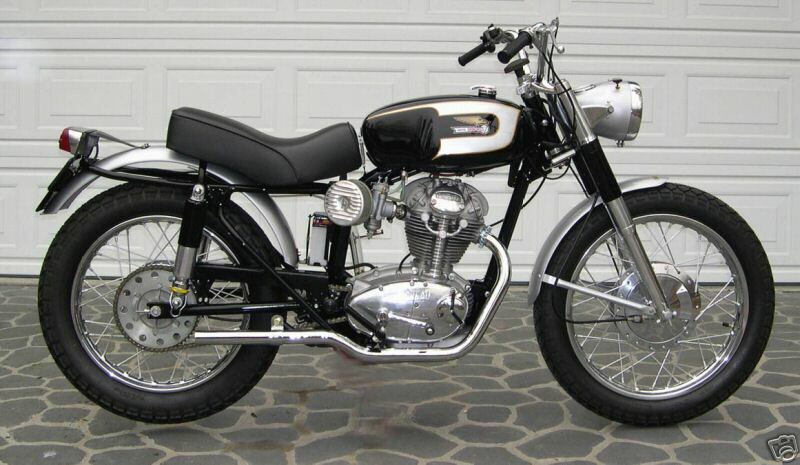 This 500 is a 180° parallel-twin four-stroke which like the Darmah and 900SS features desmodromic valve operation. 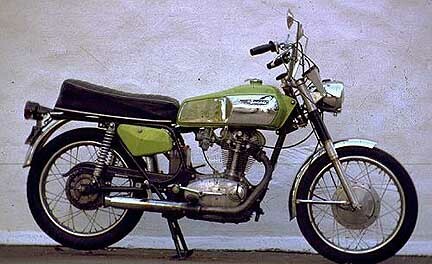 Air cooled, four stroke, parallel twin cylinder, SOHC, 2 valve per cylinder. 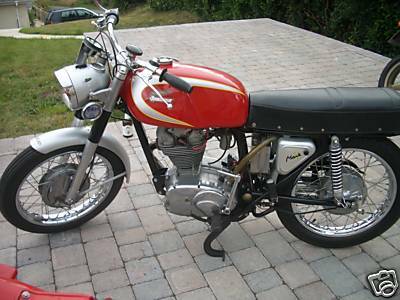 The Desmo is a very nimble bike on the open road and the rear set pedals and clip-on style bars make sports style riding easy and enjoyable. With three disc brakes to take care of just on 4001b of bike, stopping is easy and fuss free in all weathers with no premature locking or fade. 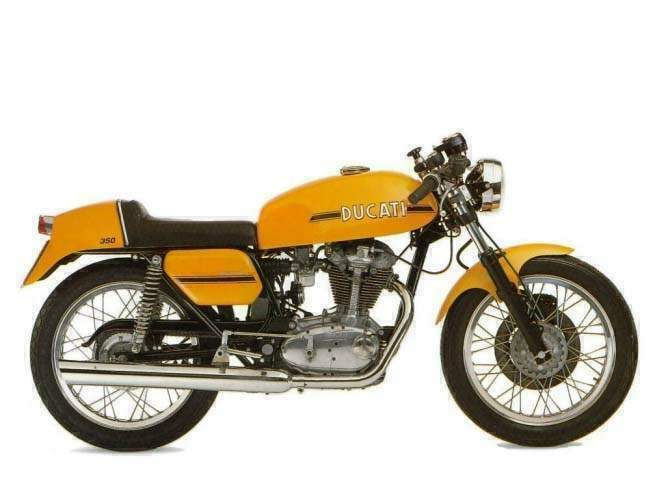 The fact that the 500 is aimed at the rider who enjoys riding fast is accentuated by the saddle being large enough for one person and a very close friend and no more; also, rear foot pegs are not a standard fitting. 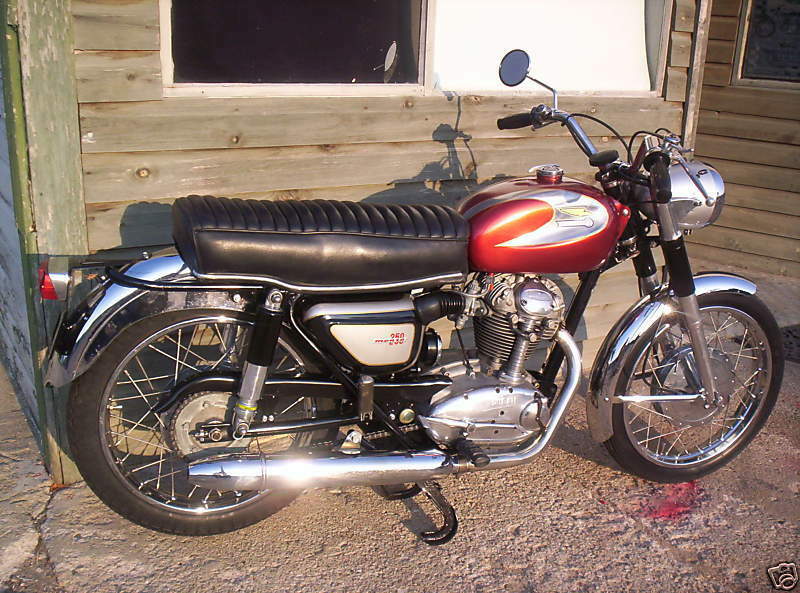 Were a passenger accommodated, the rider would find that sitting forward would make things very uncomfortable with the controls. 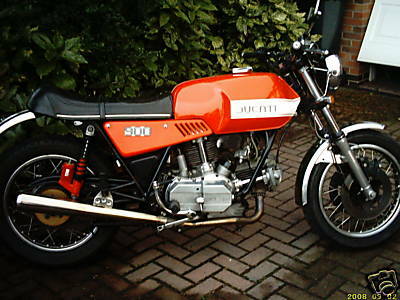 Switchgear and instruments, although adequate are not of the same quality as larger Ducatis, but Italian bike enthusiasts are used to that. 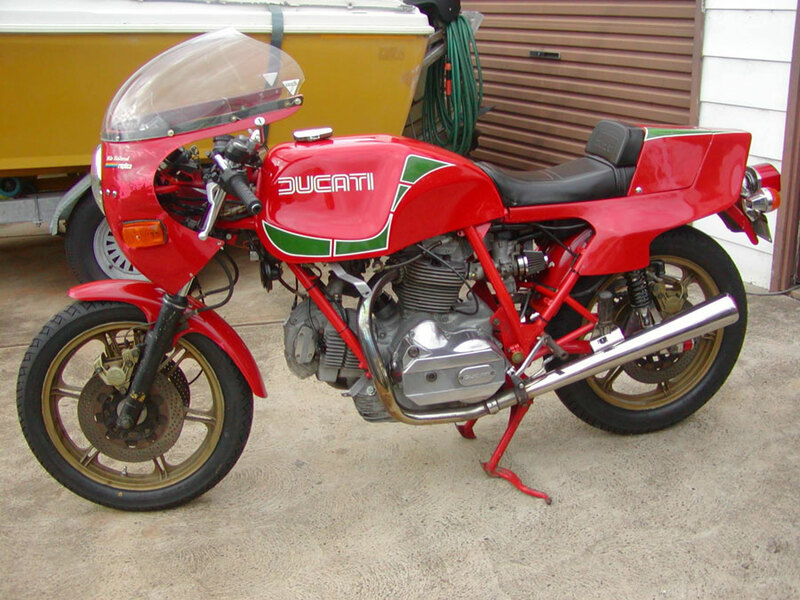 1978 Ducati NCR 900 Rep NCR replica based on a 1978 900SS, so it comes with genuine early SS shaved calipers, alloy tank, stainless conti's, FPS wheels, Tarozzi rear sets, rides superbly, a real stunner. 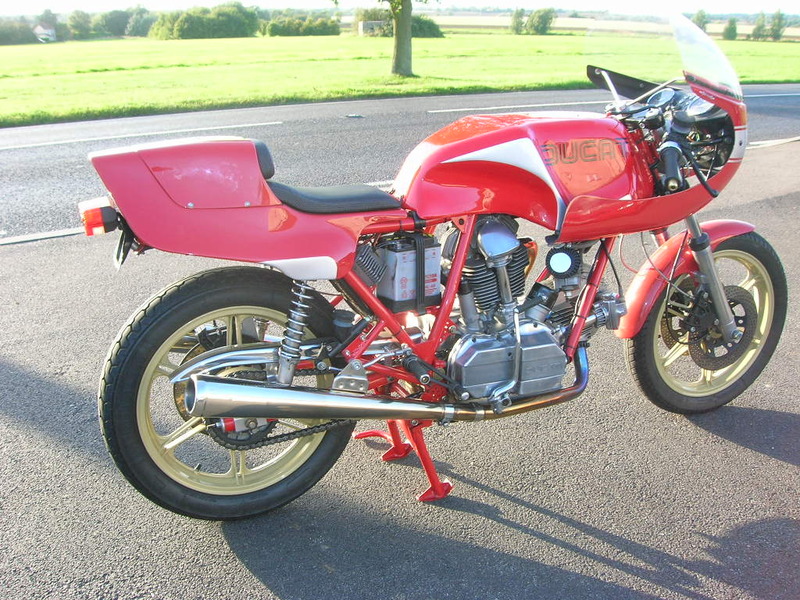 1979 Ducati 900 GTS Marzocchi suspension, Brembo brakes, Dellorto carbs, Conti replica meggas, Italian Red paint, that gorgeous bevel cam V-twin engine. This is one of the very last valve spring bevel cam models which benefited from various improvements introduced towards the end of production. 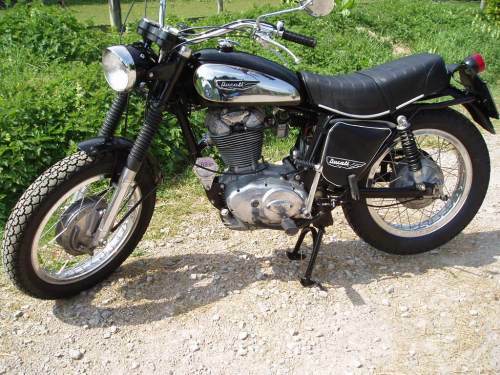 Engine - Air cooled, four stroke, 90° twin cylinder, SOHC, desmodromic 2 valve per cylinder. 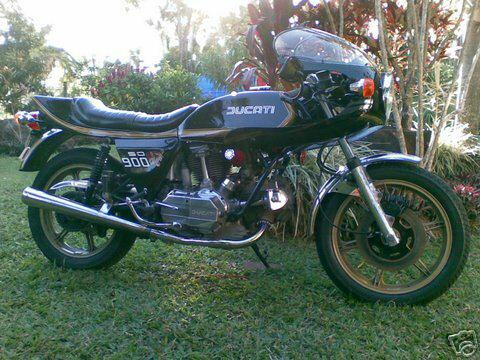 1981-84 Ducati 600 TT2 Air cooled, four stroke, 90°“L”twin cylinder, SOHC, desmodromic 2 valve per cylinder. 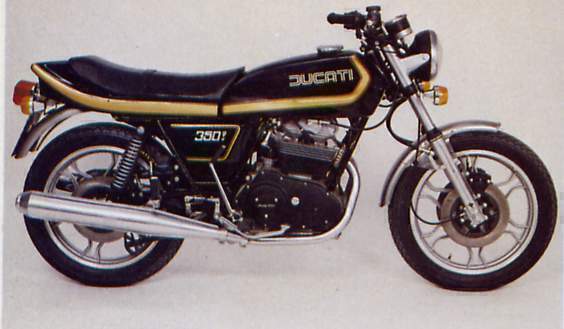 1982-84 Ducati 900 S2 Air cooled, four stroke, 90°“L”twin cylinder, SOHC, desmodromic 2 valve per cylinder. 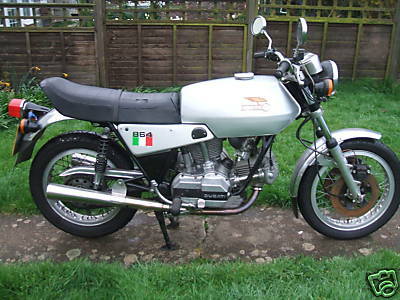 1983 Ducati 600 TL 56bhp. 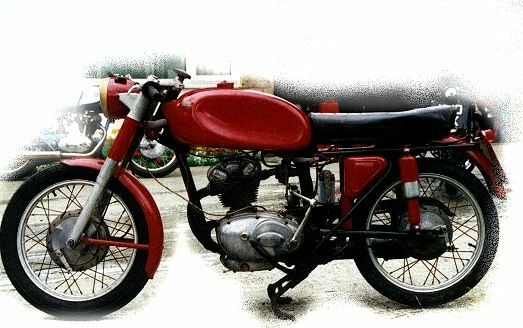 Touring version of the belt driven desmo OHC Pantah imported from Italy. 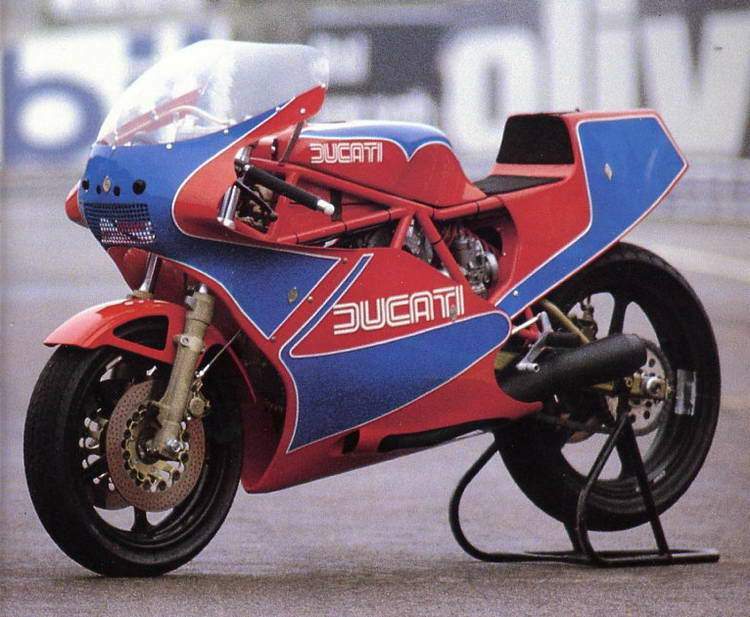 1983 Ducati 900 MHR The Ducati MHR Mille is a racing legend. 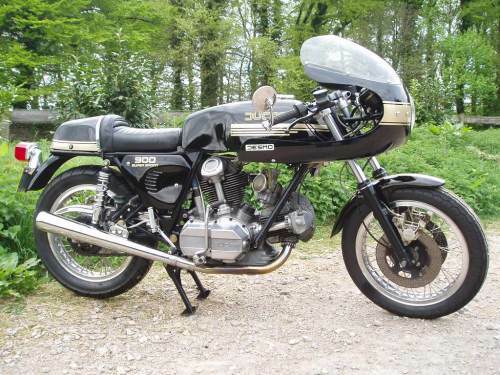 In 1978 a many times World Champion named Mike Hail-wood made a fairy-tale comeback aboard a beefed-up street bike and against all odds won one of the most prestigious races of all time - the gruelling, six lap, 226 mile Formula One TT on the Isle of Man. 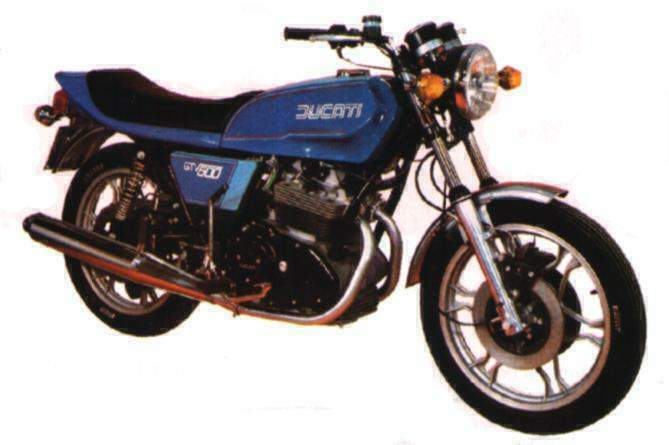 1983-85 Ducati 750 TT1 The TT2 and later TT1. 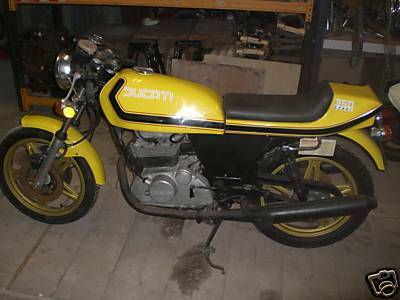 These spectacular machines were similar to Tony Rutter's four-time World TT2 Championship-winning TT2 racers. 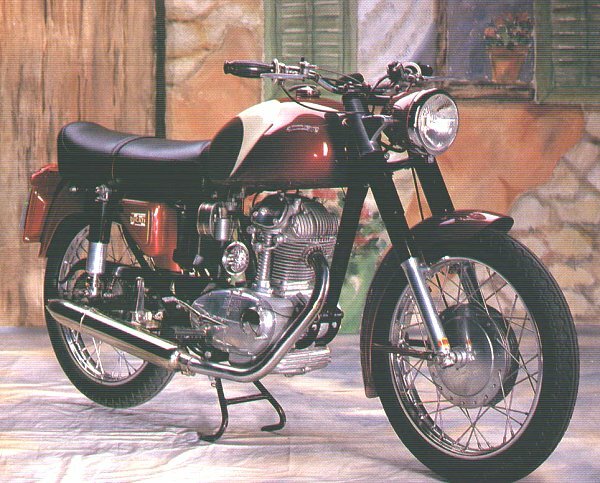 Modeled closely after the factory TT2, the production version also featured a 597cc engine using special two-ring Borgo pistons (weighing only 408 grams). Valve sizes were 41mm and 35mm, and racing camshafts provided 11mm of intake valve lift and 10.5mm of exhaust valve lift. 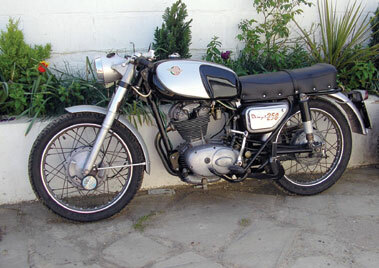 The crankshaft and con-rods were highly polished, with a new steel clutch and straight-cut primary gears. 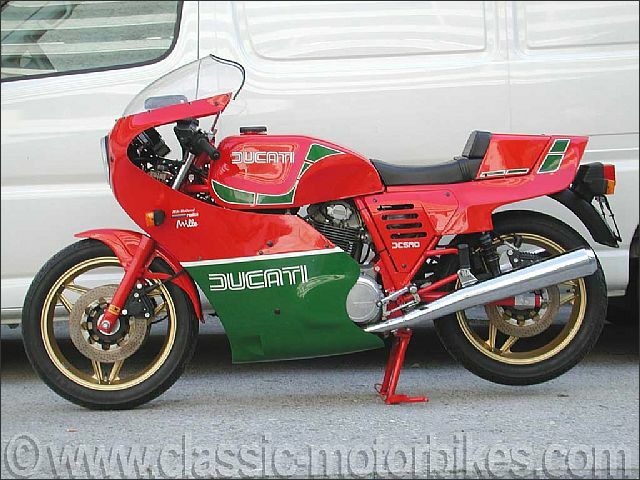 1984 Ducati MHR 900 German import. 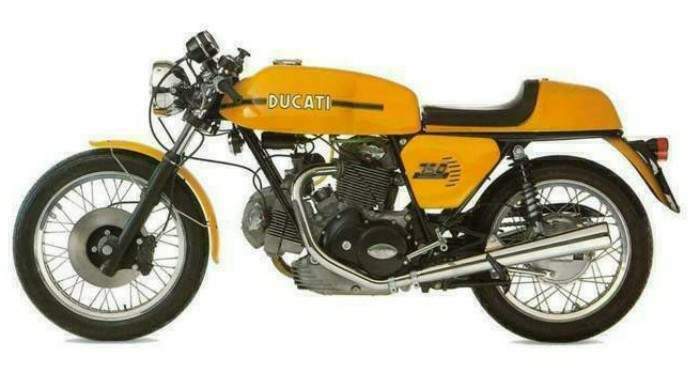 The Ducati F1A and F1B were true race replicas, street-going versions of the first of the "rubber band racers," the four-time world champion 6()0ccTT2. 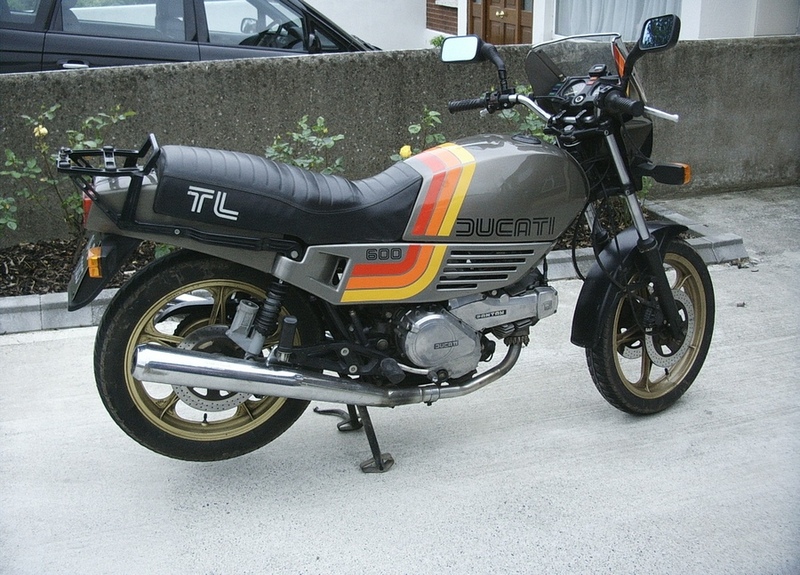 The TT2 was built for the 1981 Formula 2 World Championship. 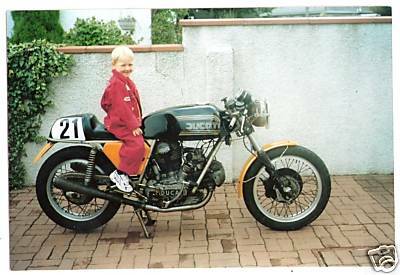 With British racer Tony Rutter on board, they won not only the 1981 championship, but the 1982, 1983 and 1984 championships as well. 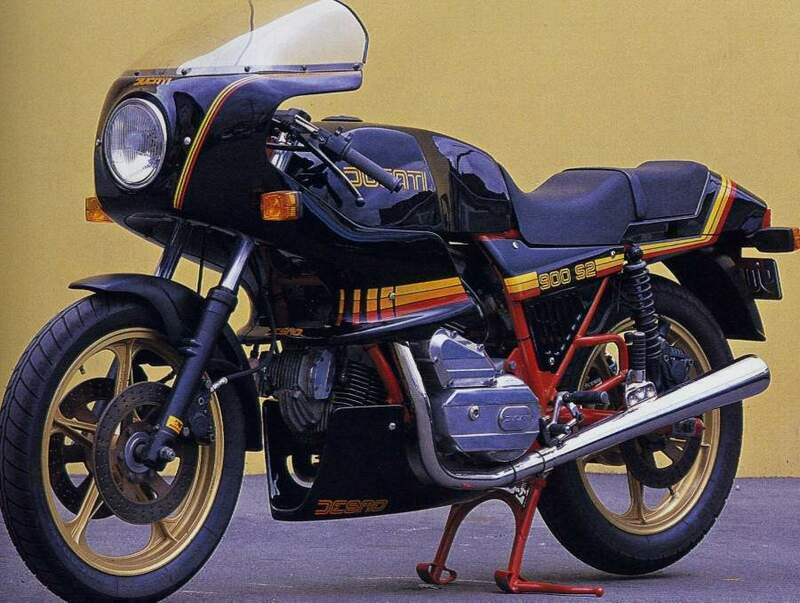 In 1982, Fabio Taglioni, chief of design, and Franco Fame, race team boss, decided to develop concurrently a 750cc racer to compete in Formula 1. 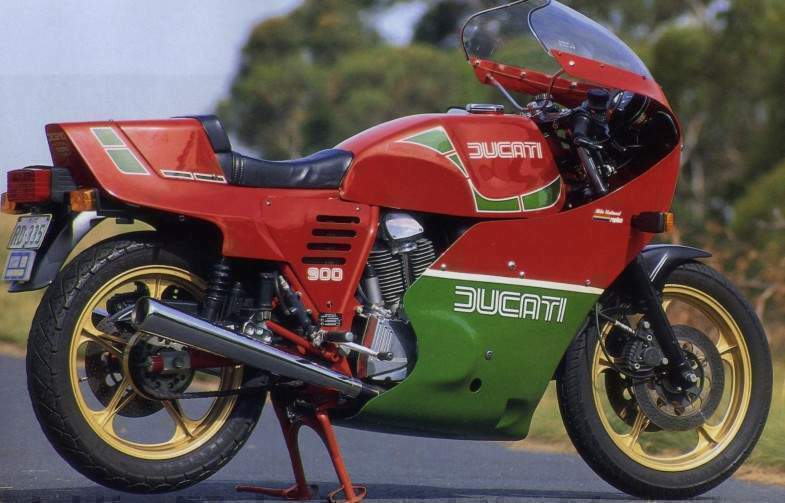 While the 750 was never as competitive in Formula 1 as its smaller stablemates had been in Formula 2, it soon proved to be the hot set for the newly formed and very popular "Battle of the Twins" class. 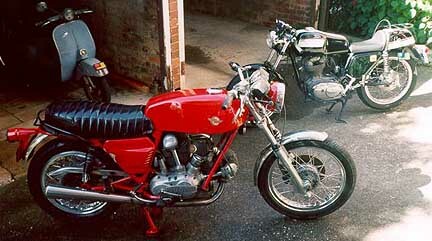 The bikes did exceptionally well in both club races and world championship events. 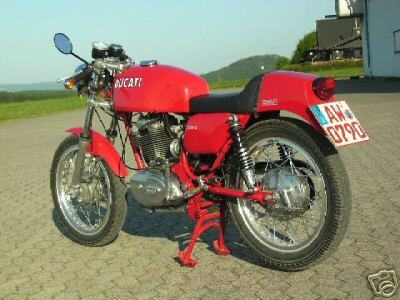 1986 Ducati 350 F3 Desmo Air cooled, four stroke, 90°“L” twin cylinder, Desmo SOHC. 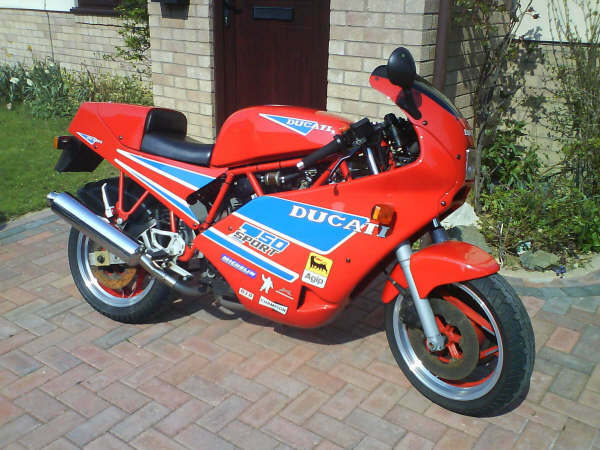 1986 Ducati 400 F3 Air cooled, four stroke, 90°“L” twin cylinder, Desmo SOHC. 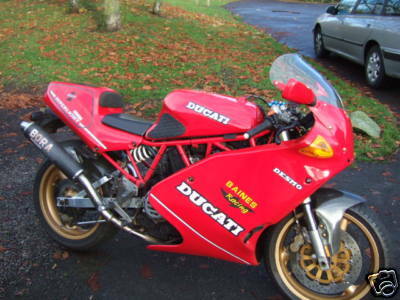 Top Speed - 130 mph. 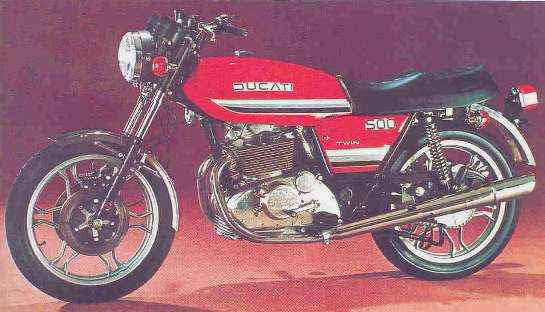 Ducati Paso history. 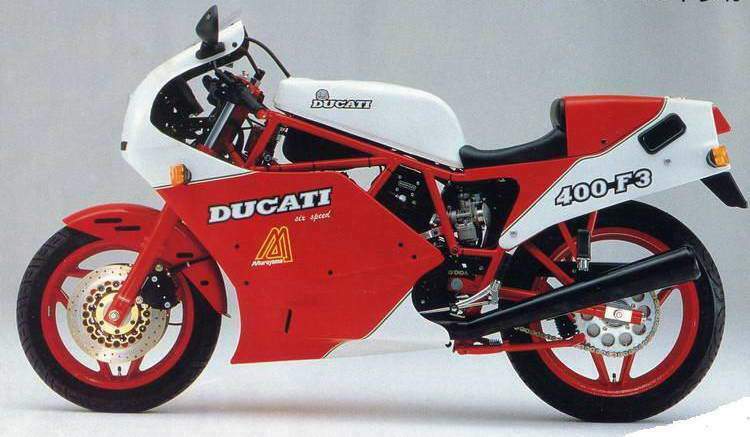 1989-90 Ducati 400 SS Junior Air cooled, four stroke, 90°“L”twin cylinder, SOHC, desmodromic 2 valve per cylinder. 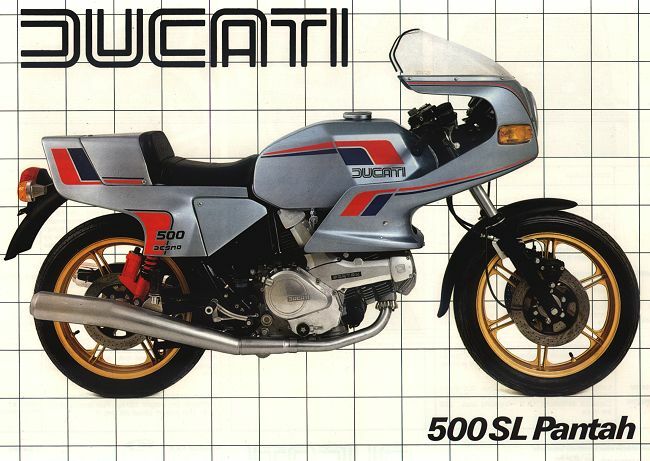 1991-93 Ducati 350SS Air cooled, four stroke, 90°“L”twin cylinder, SOHC, desmodromic 2 valve per cylinder. 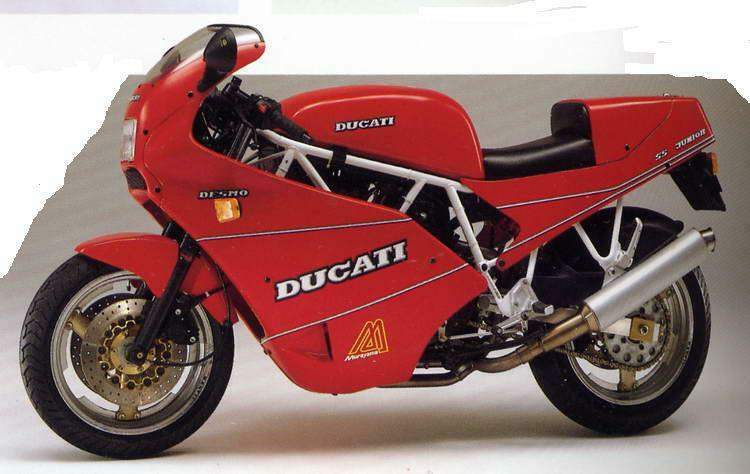 1991-96 Ducati 400 SS Air cooled, four stroke, 90°“L”twin cylinder, SOHC, desmodromic 2 valve per cylinder.